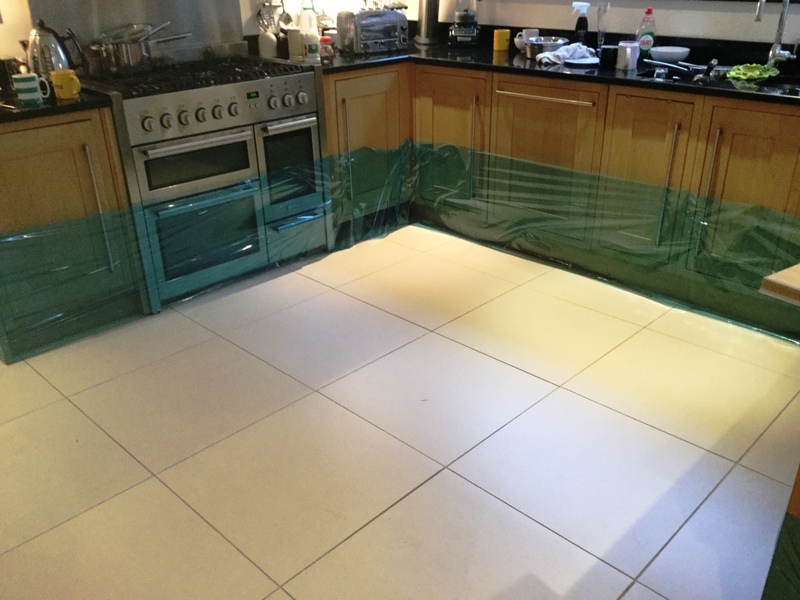 Recently I was called to visit this client in Beaconsfield who had moved into their house several years prior. 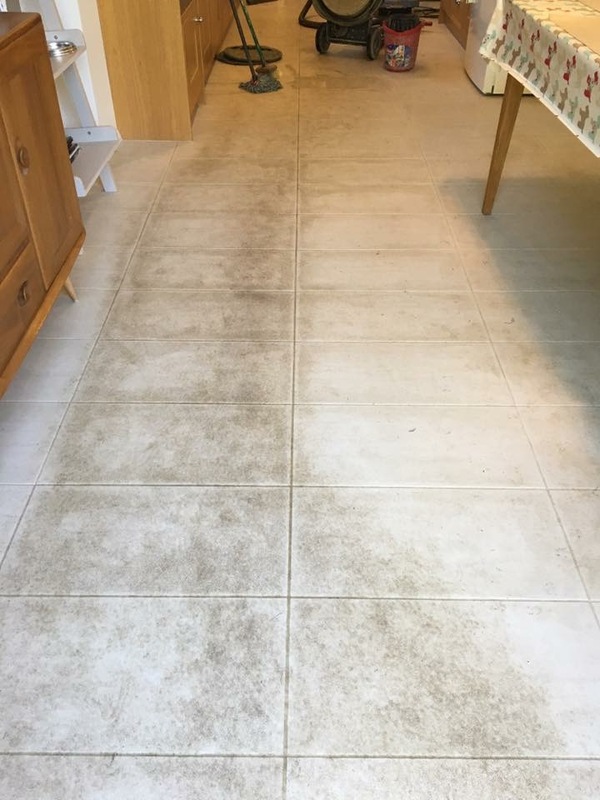 Their hallway floor tiles were already dirty when they moved in and with several young kids the problem had slowly got worse. 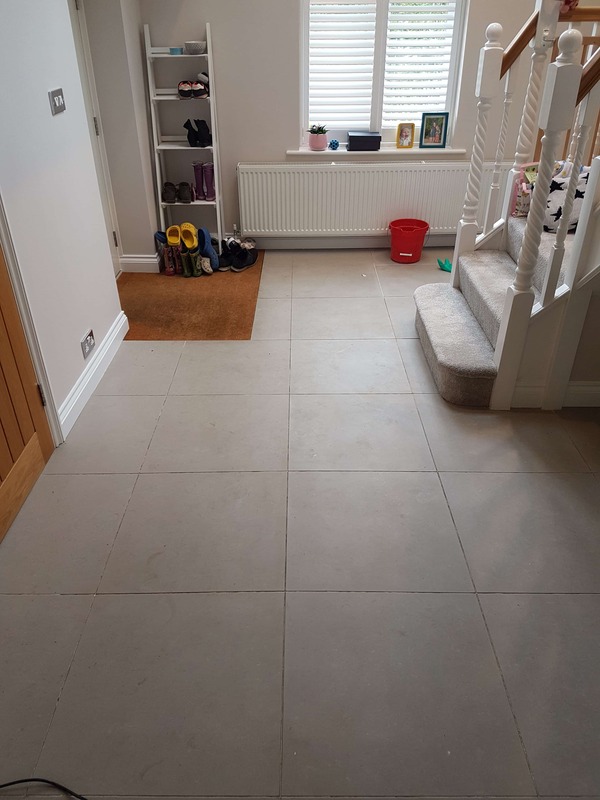 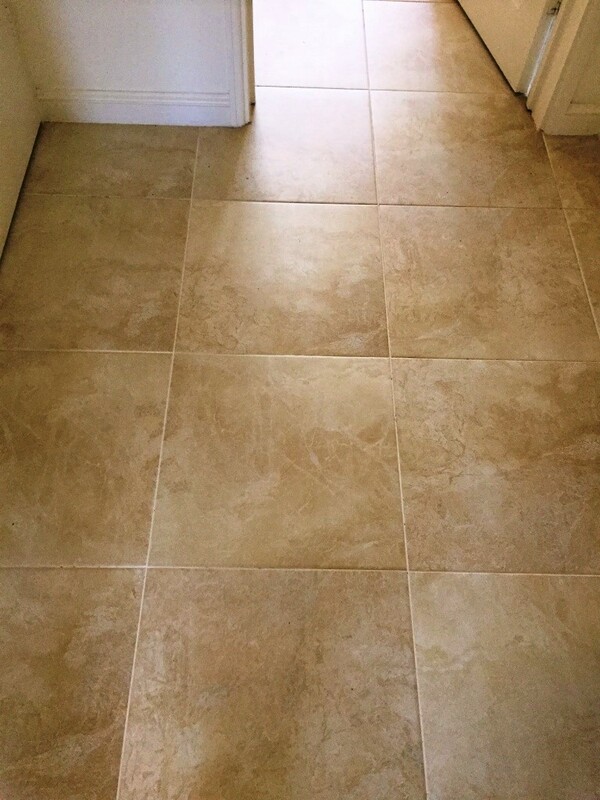 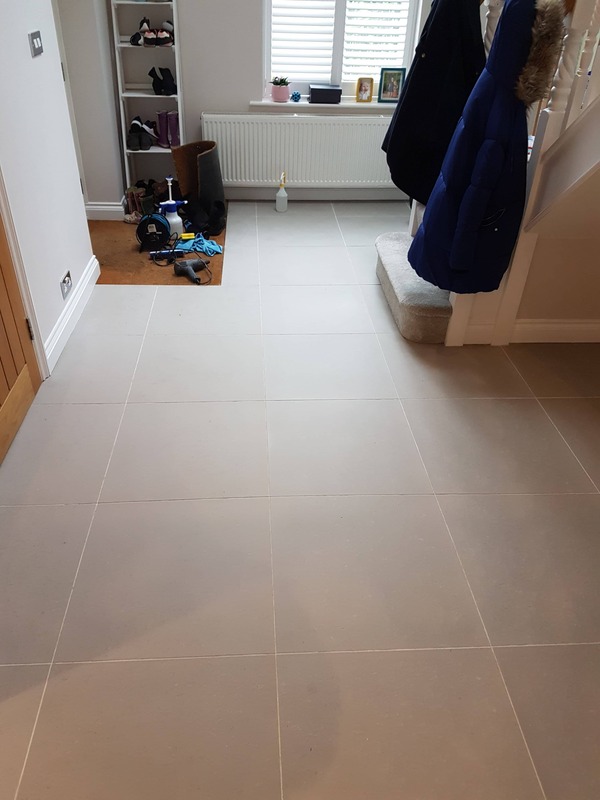 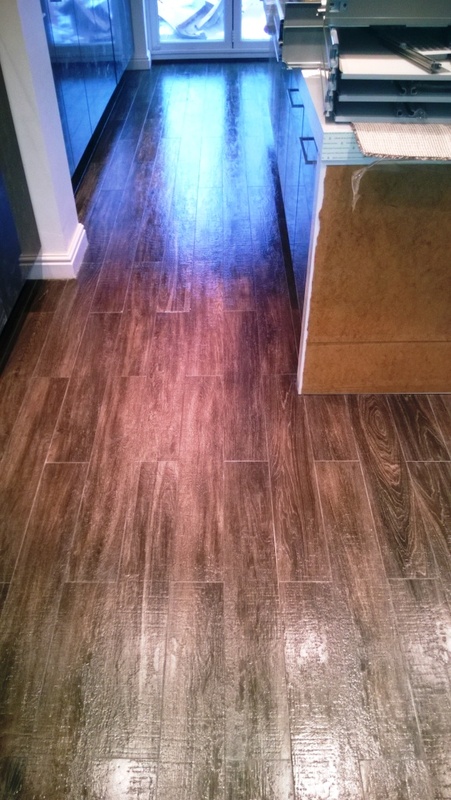 The hallway should look nice and bright and inviting, but instead the Porcelain tile and grout was looking dull and worn. 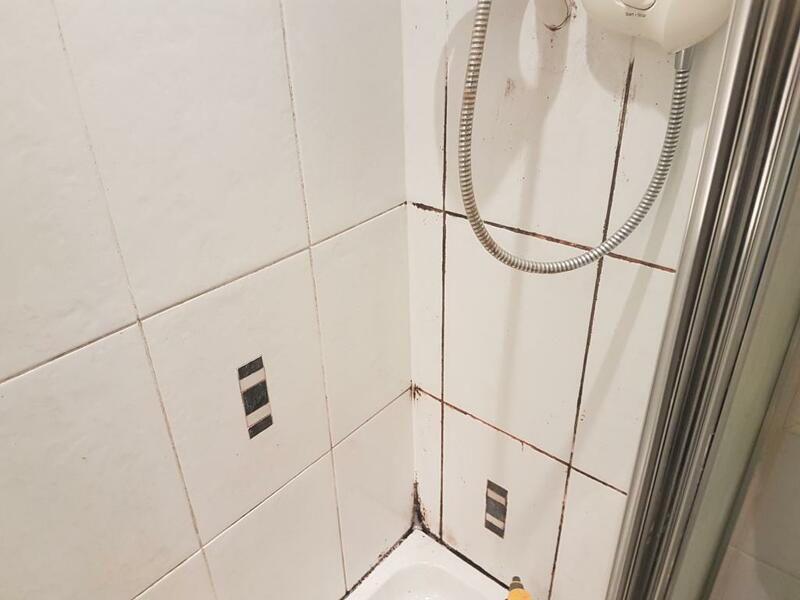 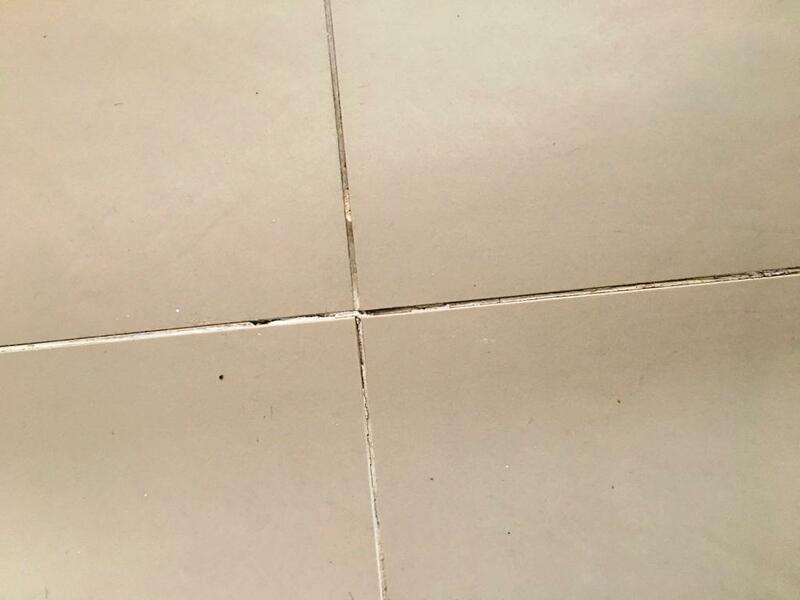 According to the previous owners the tiles had not been down long before they sold the property. 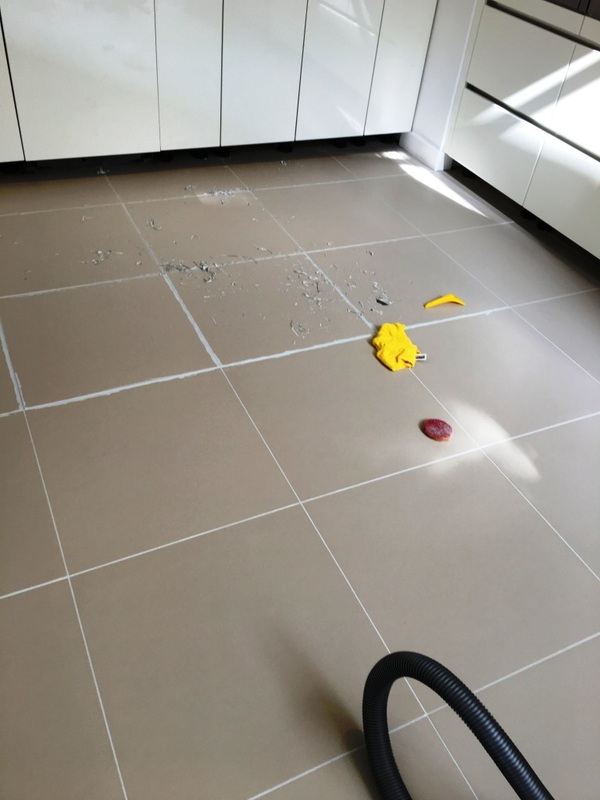 I went around to survey the floor and could see the biggest problem was the grout which had darkened due to the trapped dirt. 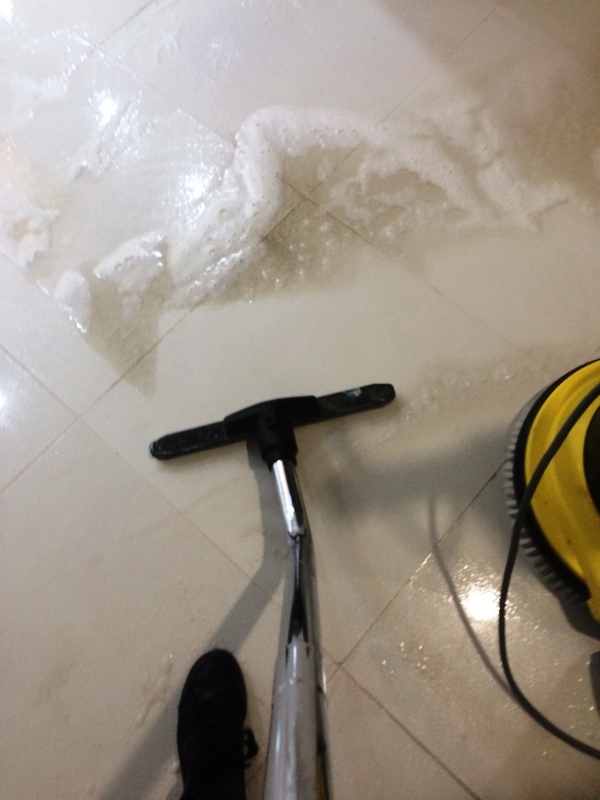 It is always easiest for us to view the job and then we can see what work is involved. 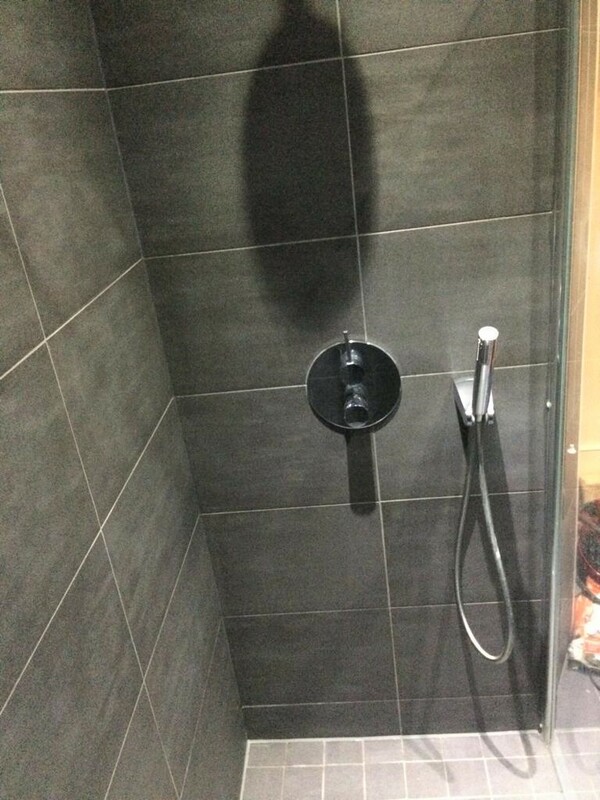 Pictures alone rarely provide enough information. 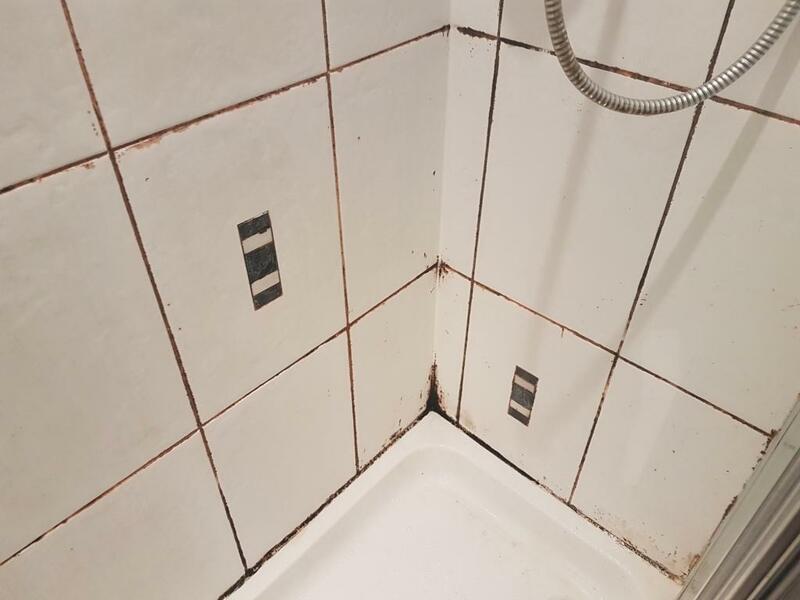 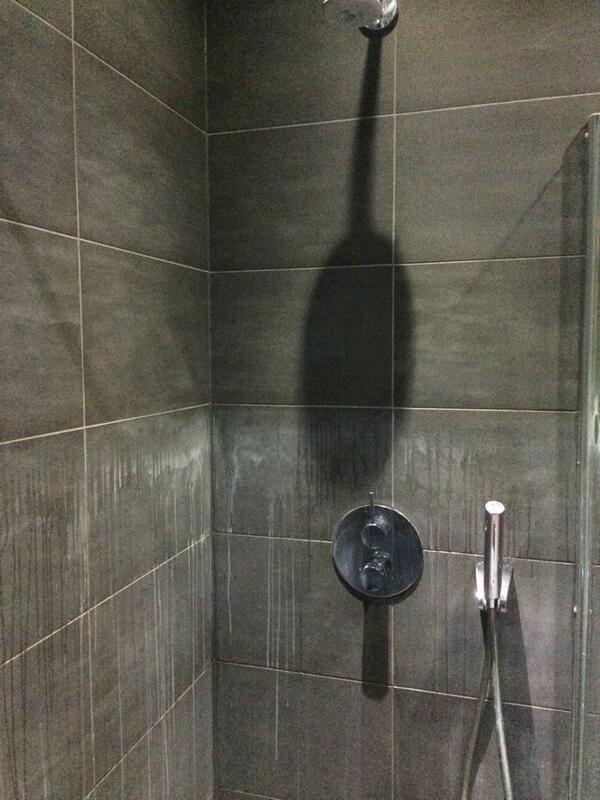 I did a test clean with great results and once we had agreed a price, I was invited back to do the job. 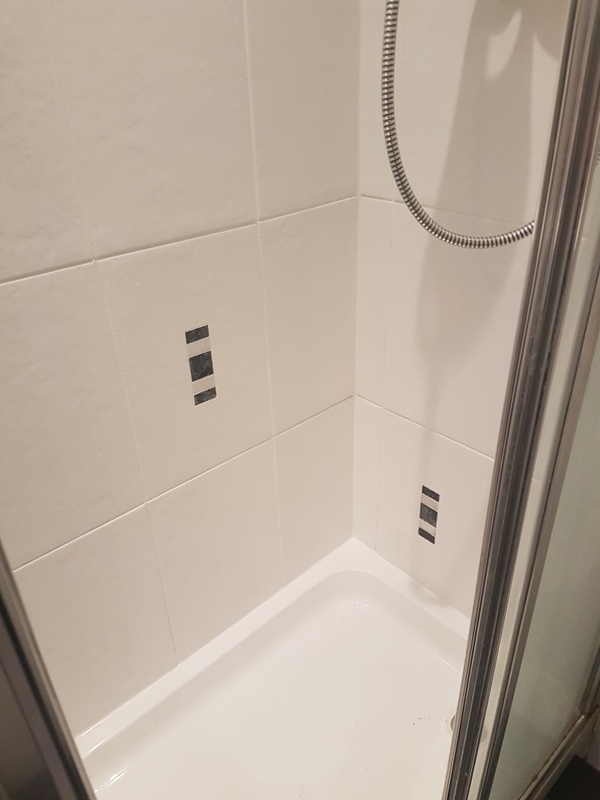 I booked it in for a few weeks’ time. 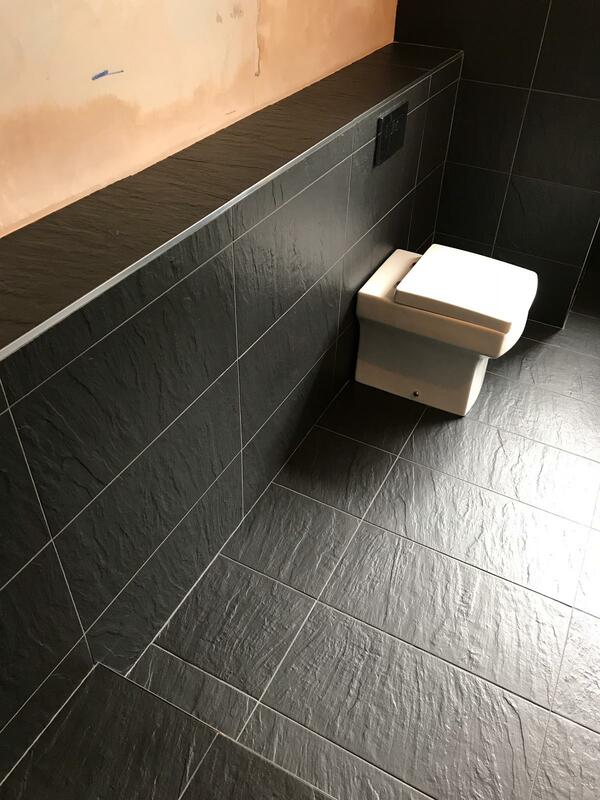 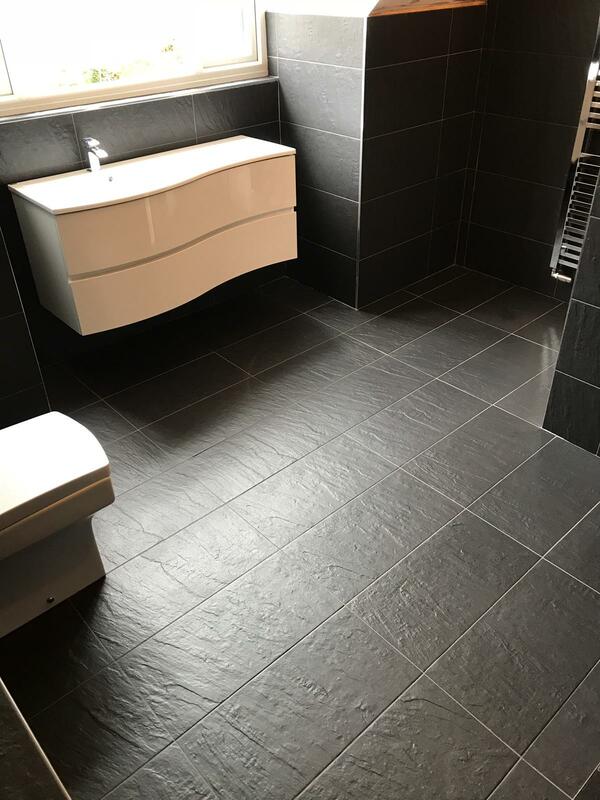 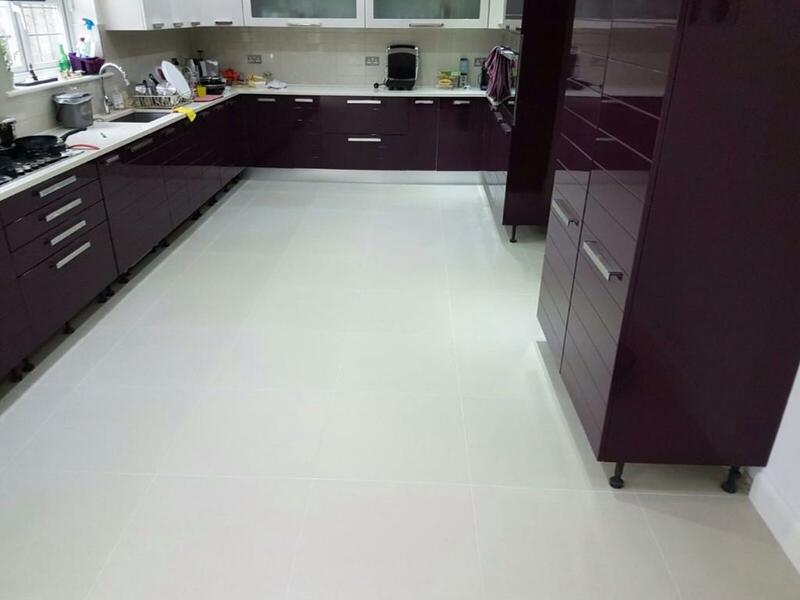 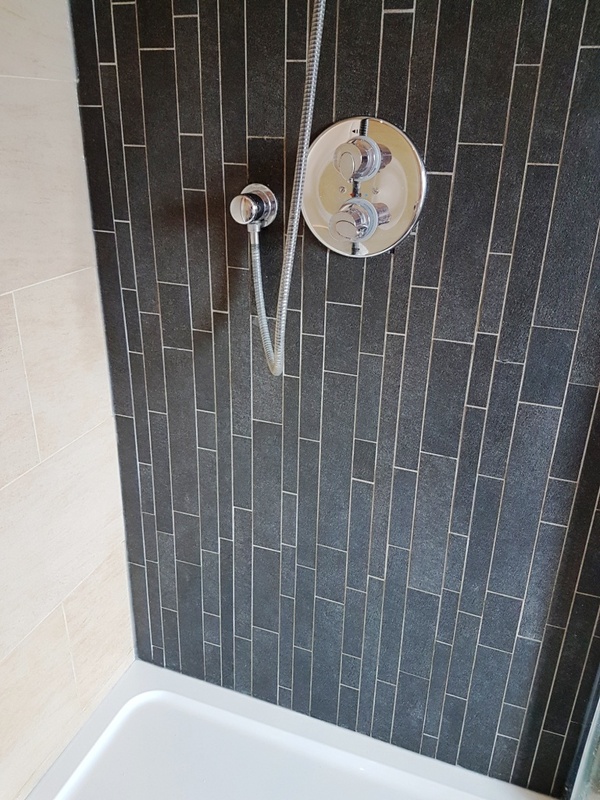 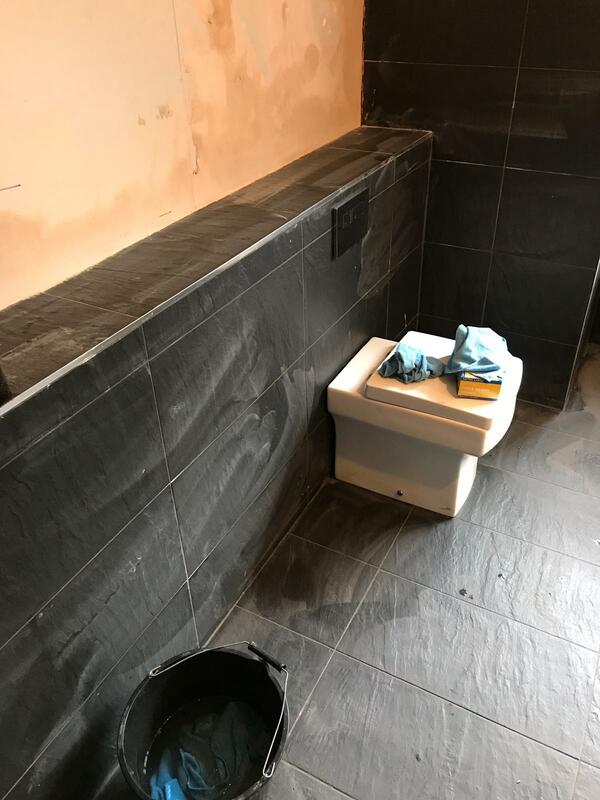 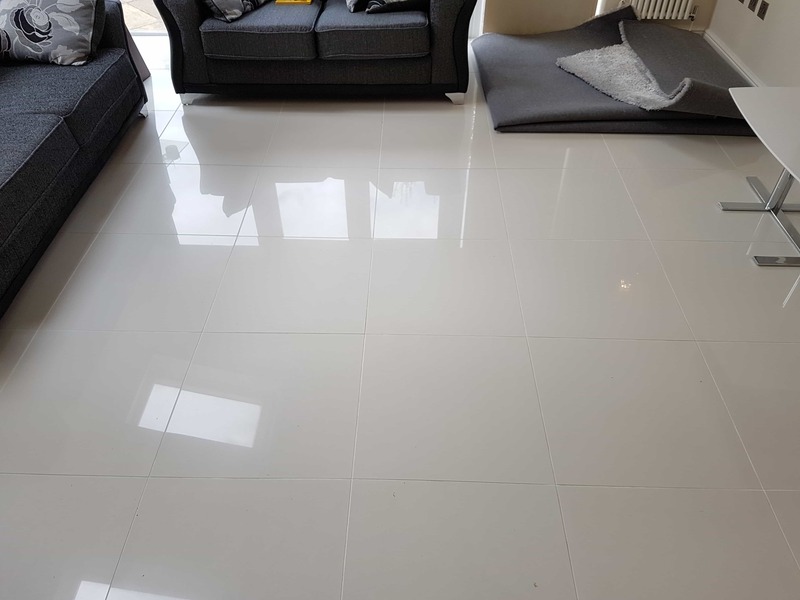 Porcelain is a popular choice in homes these days, they come in a huge variety of colours, styles and are hardwearing and versatile enough to be used in bathrooms, kitchens and on floors such as these. 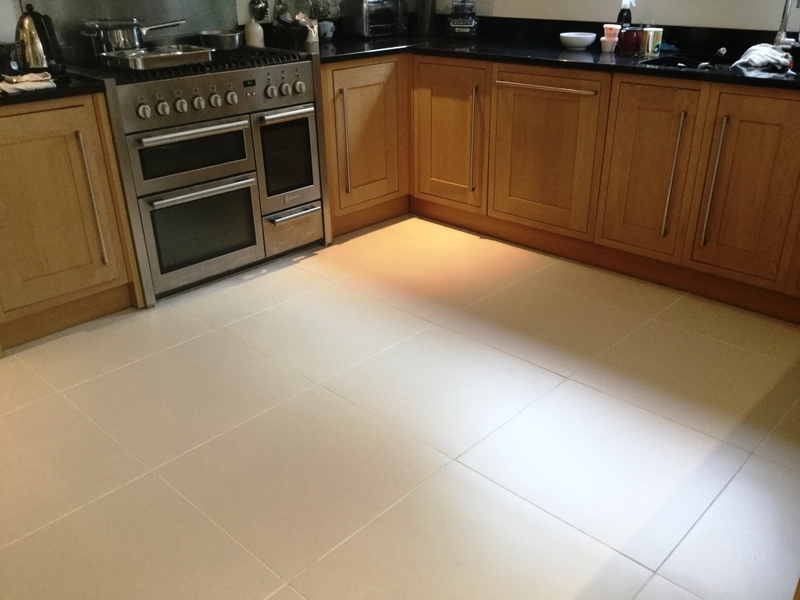 With the addition of underfloor heating, there is no need for the myth of a tiled floor being cold to exist either. 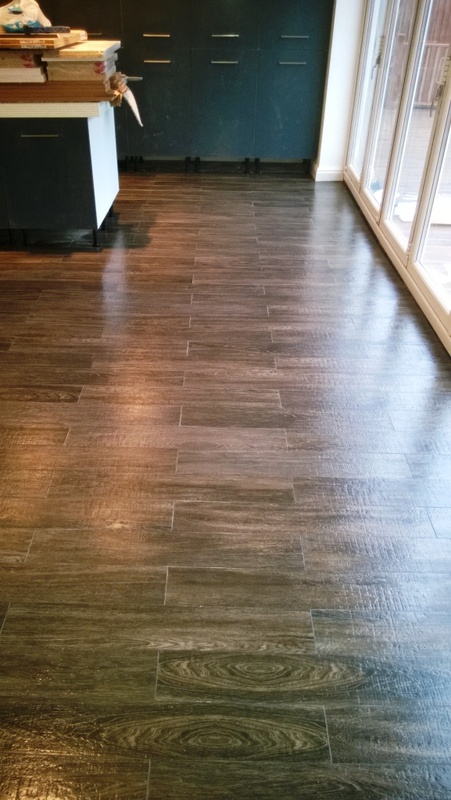 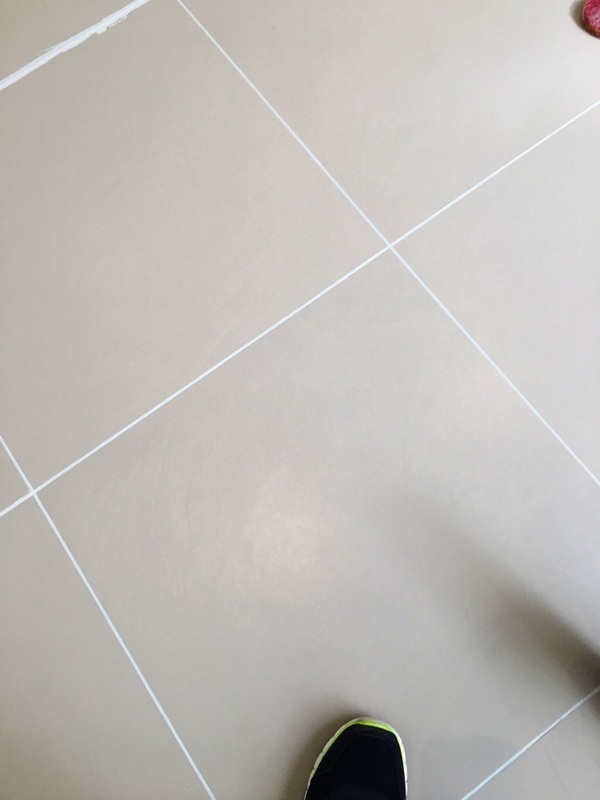 With a small amount of maintenance, the floor can be kept looking nice. 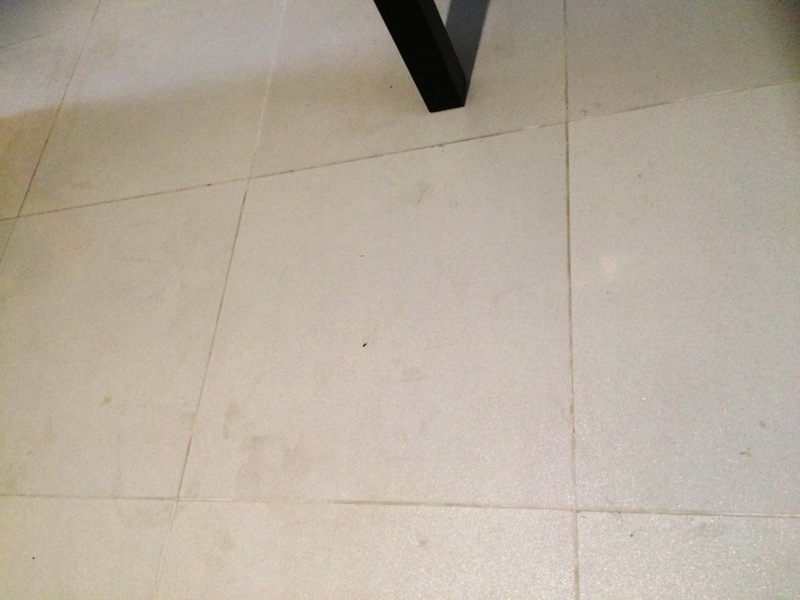 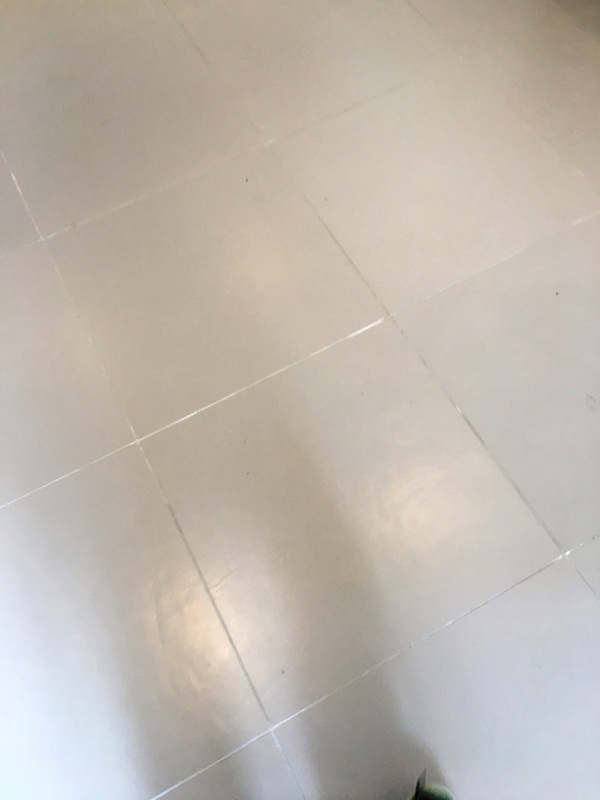 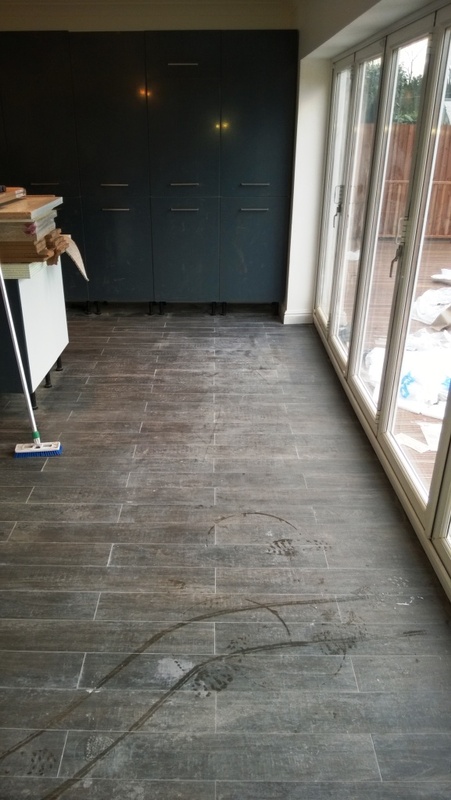 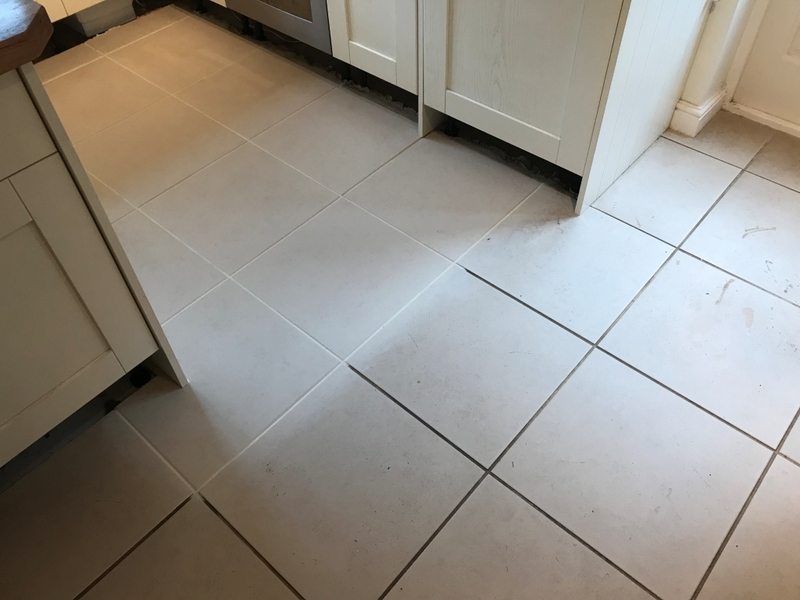 To clean the Porcelain tile and grout I applied a strong dilution of Tile Doctor Pro-Clean worked in with a black scrubbing pad fixed to a rotary floor buffer. 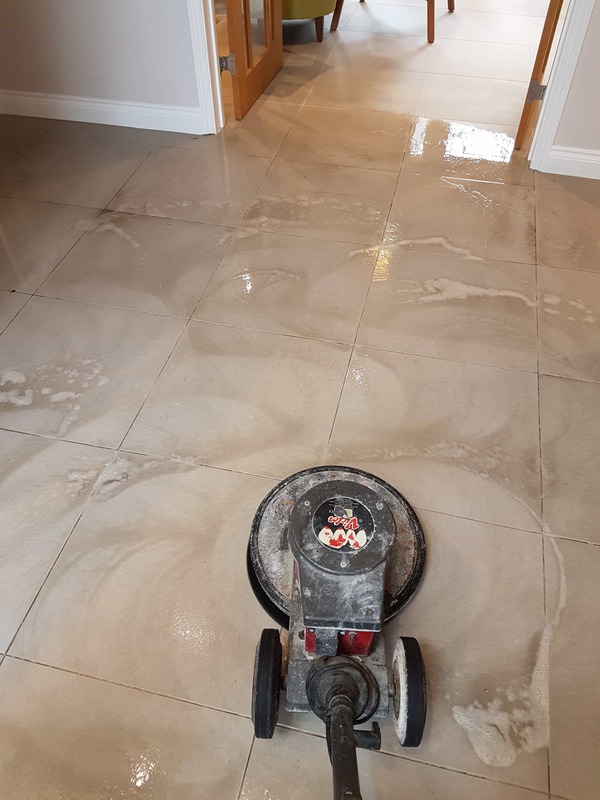 The abrasive action of the pad combined with the cleaning power of Pro-Clean got to work cleaning all the tiles and got the worst out of the grout. 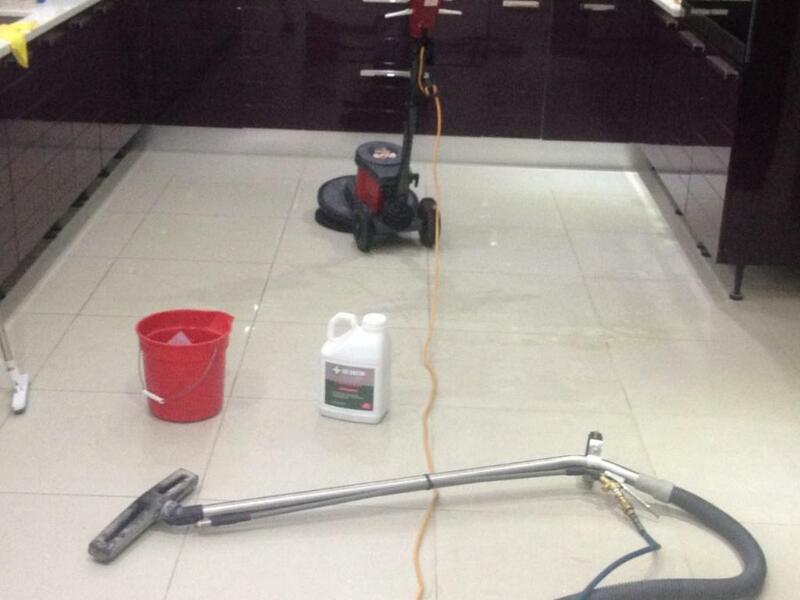 We followed this by rinsing with water and extracting the soil with a wet vacuum, keeping the mess to a minimum. 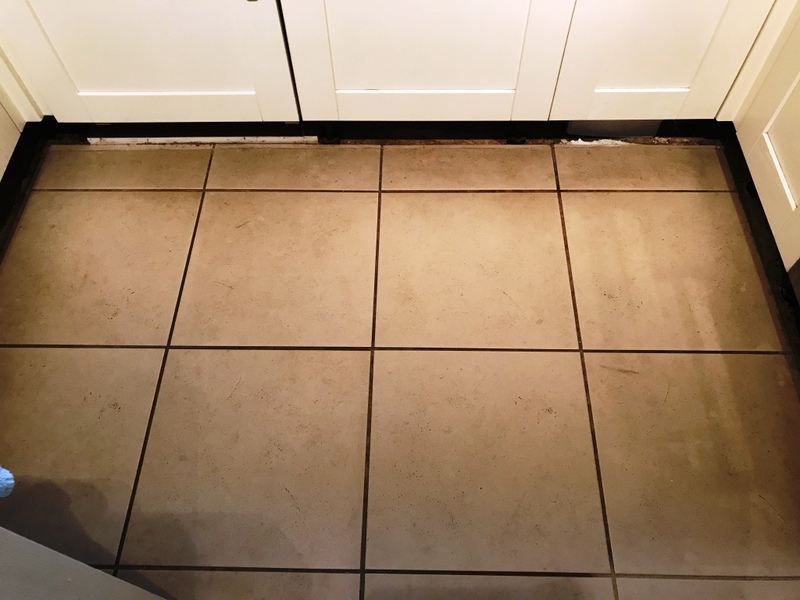 Some of the grout lines were still not 100 percent so I went back over them using neat Tile Doctor Grout Clean Up scrubbing it in by hand with a stiff brush and then giving the floor another rinse. 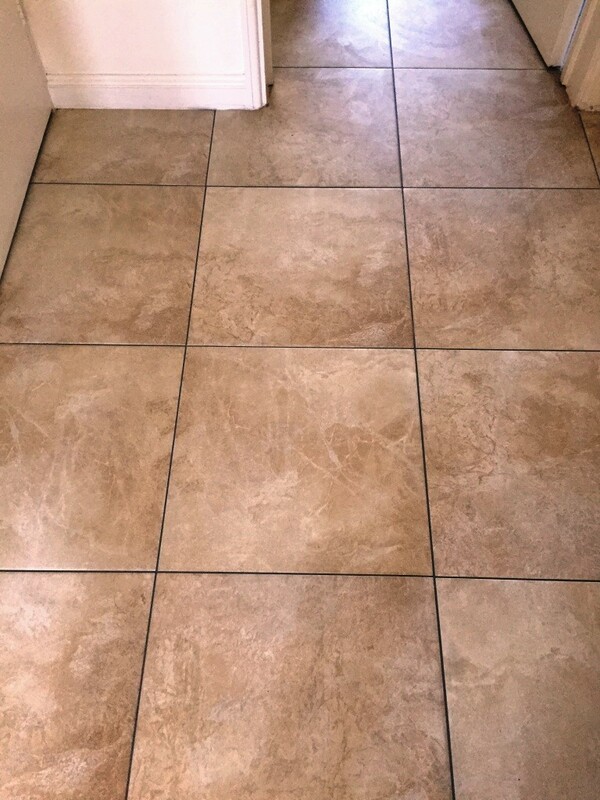 Once I was satisfied the tile and grout was as clean as it could be the floor was left to dry off overnight. 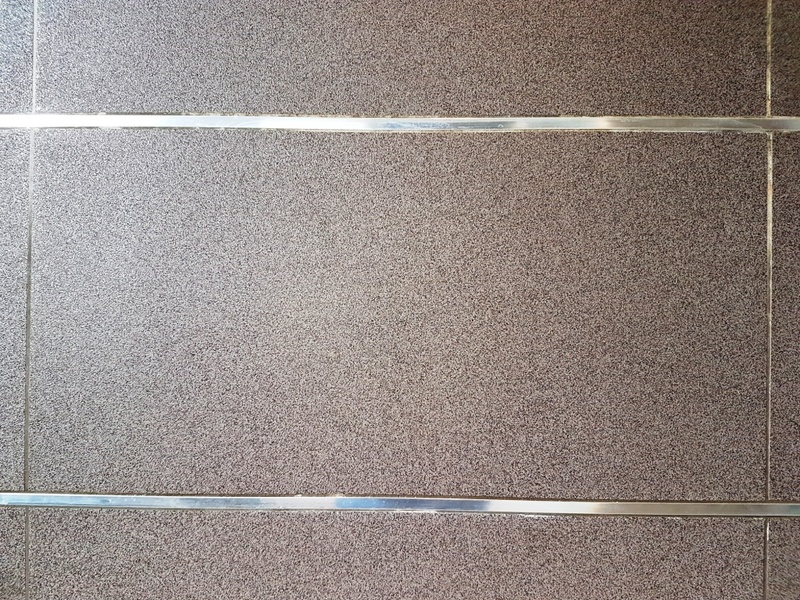 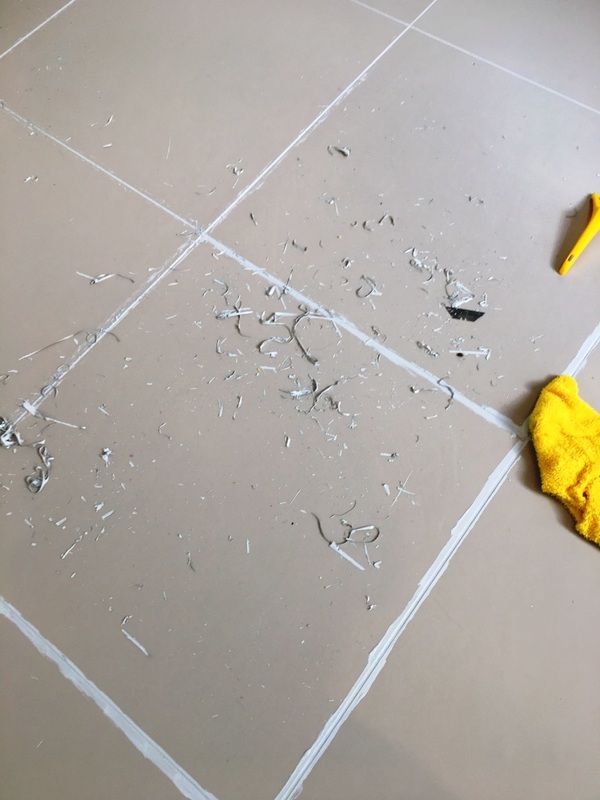 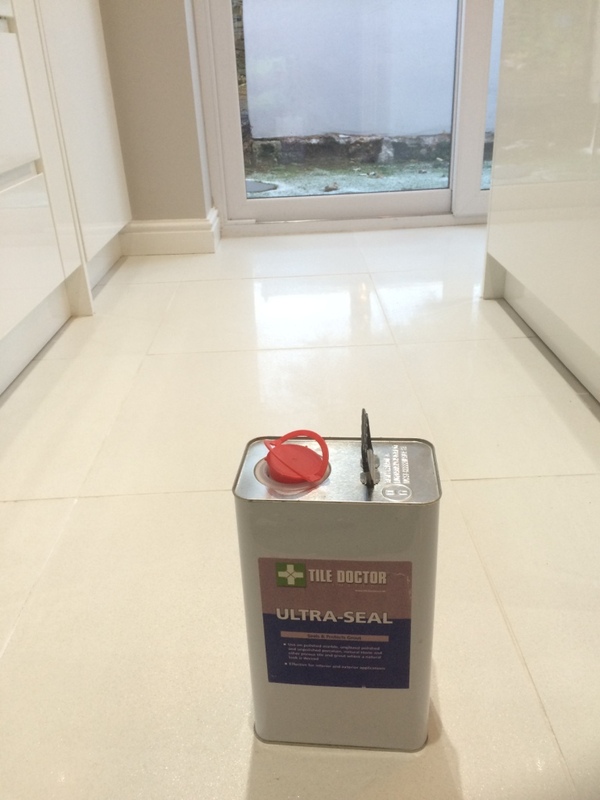 The next day I returned and used a pipette to apply Tile Doctor Ultra Seal to all the grout lines. 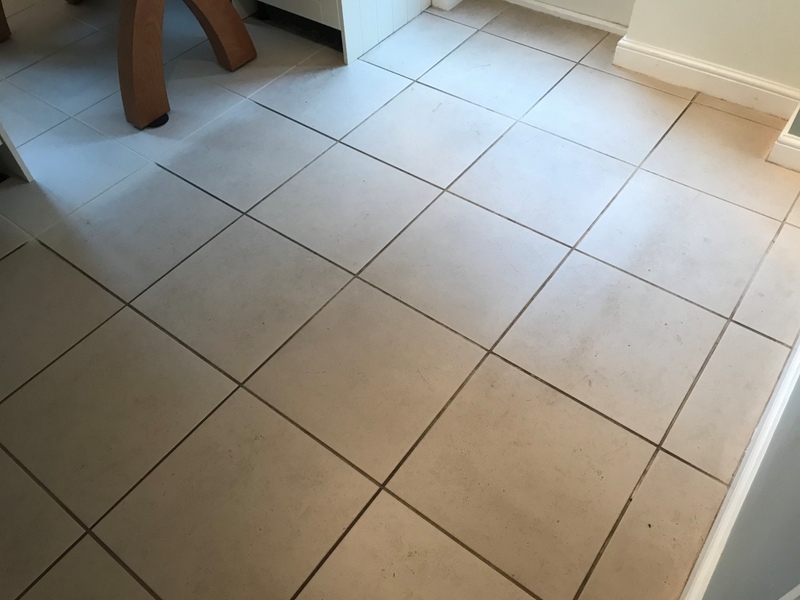 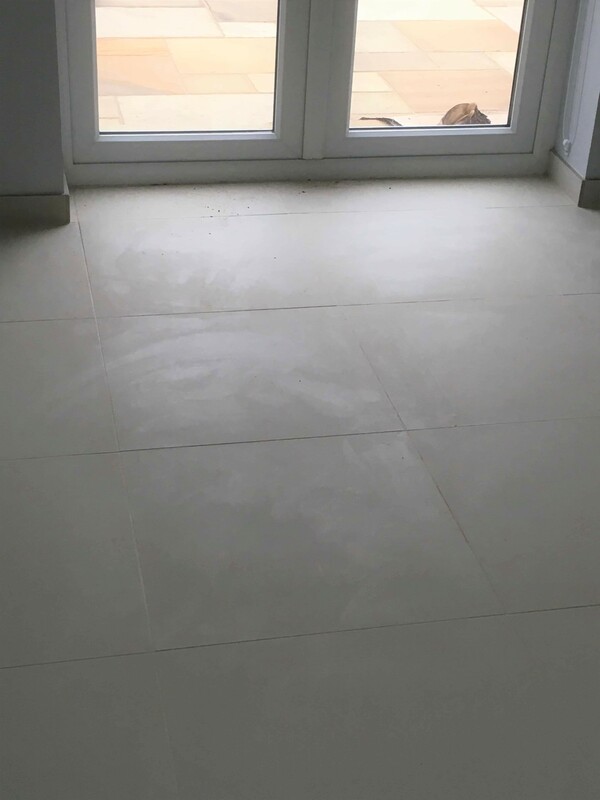 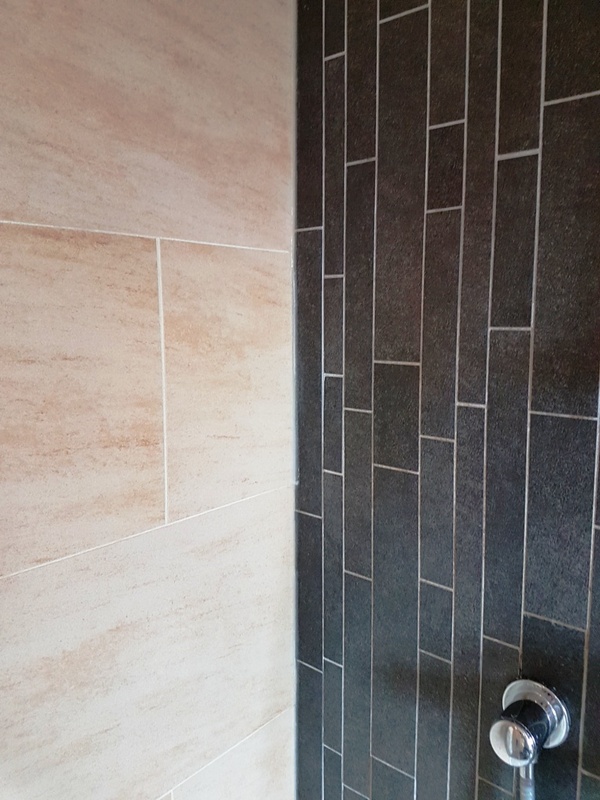 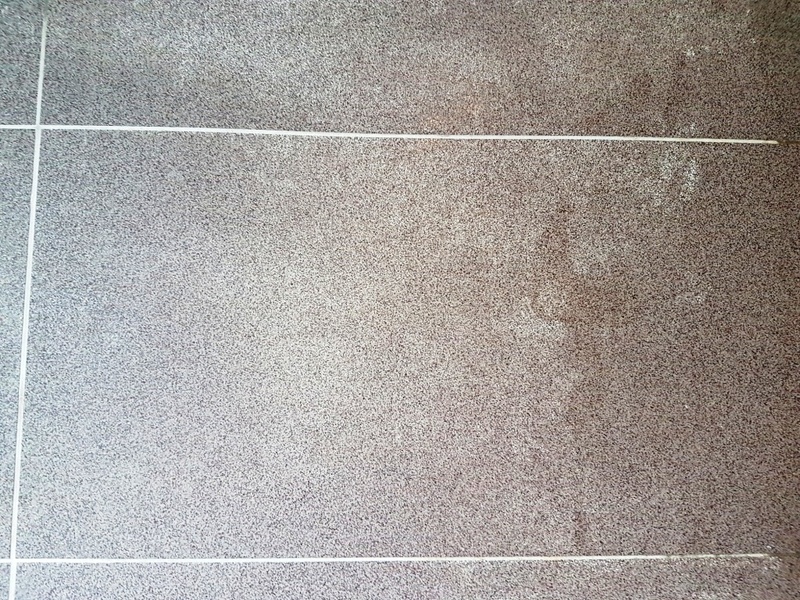 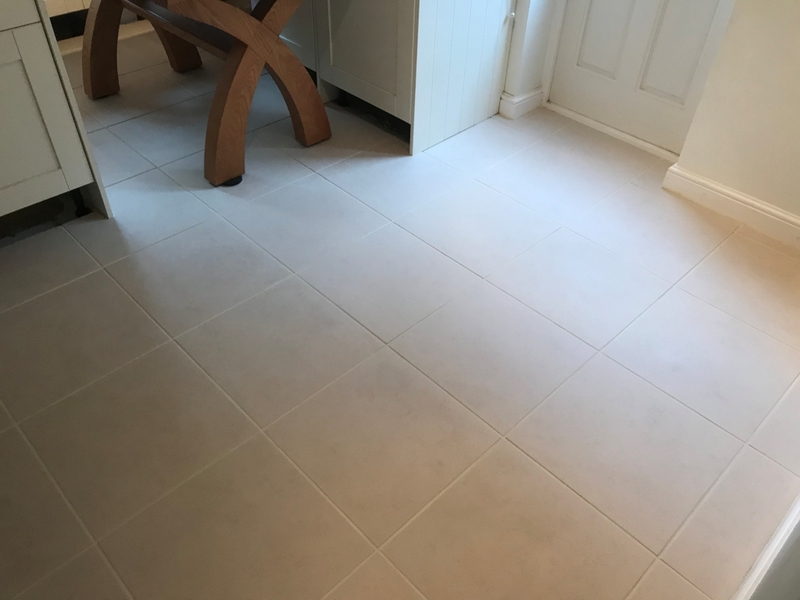 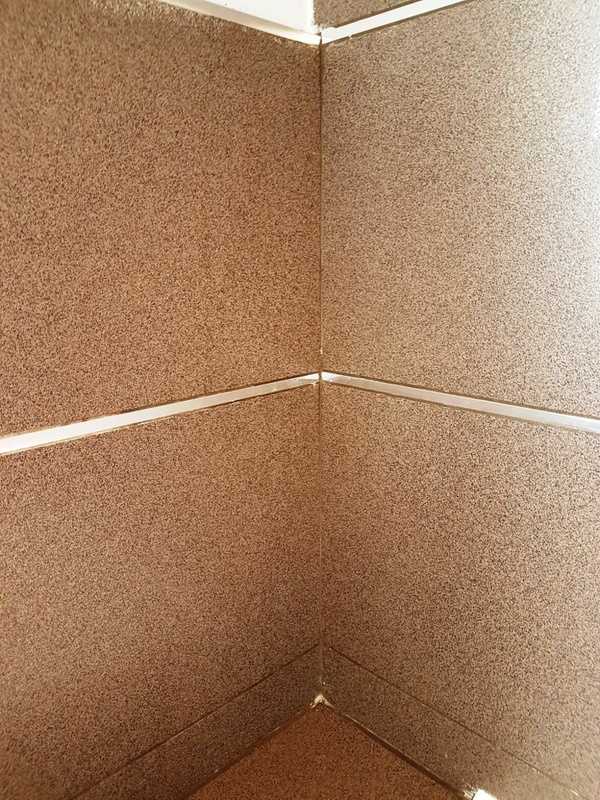 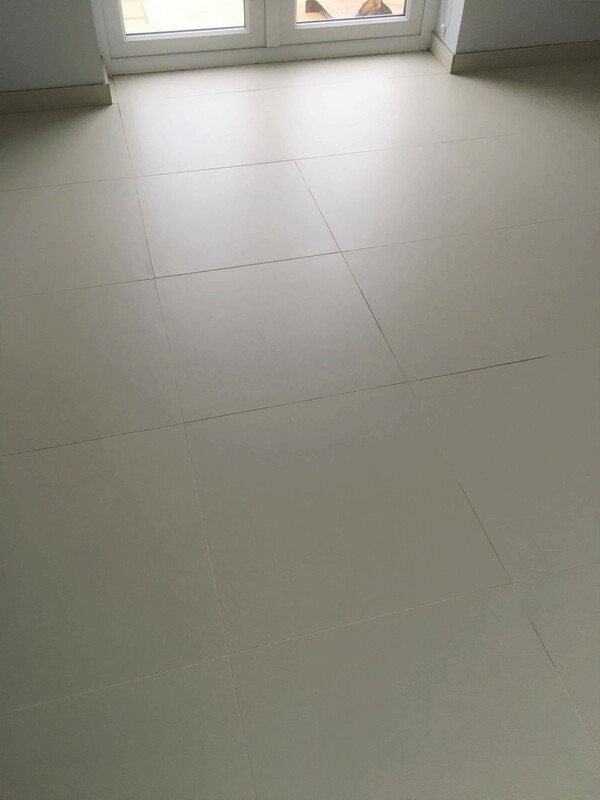 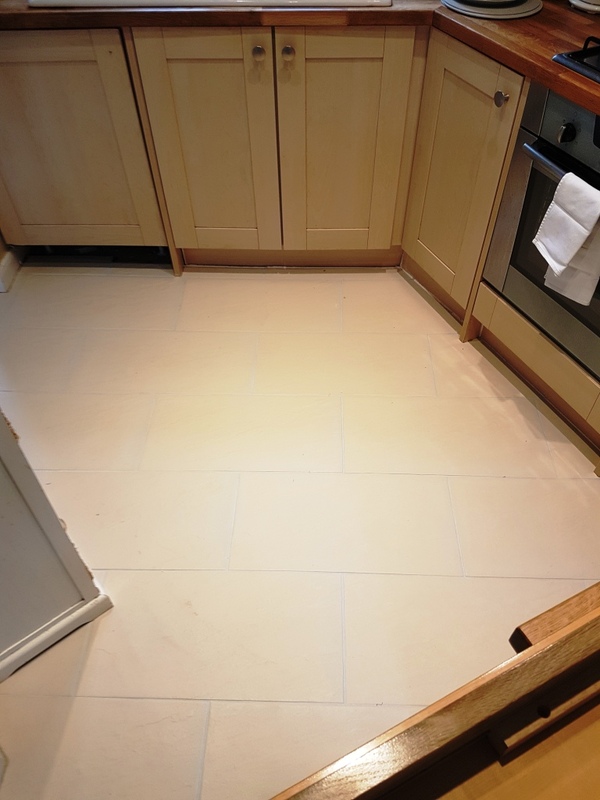 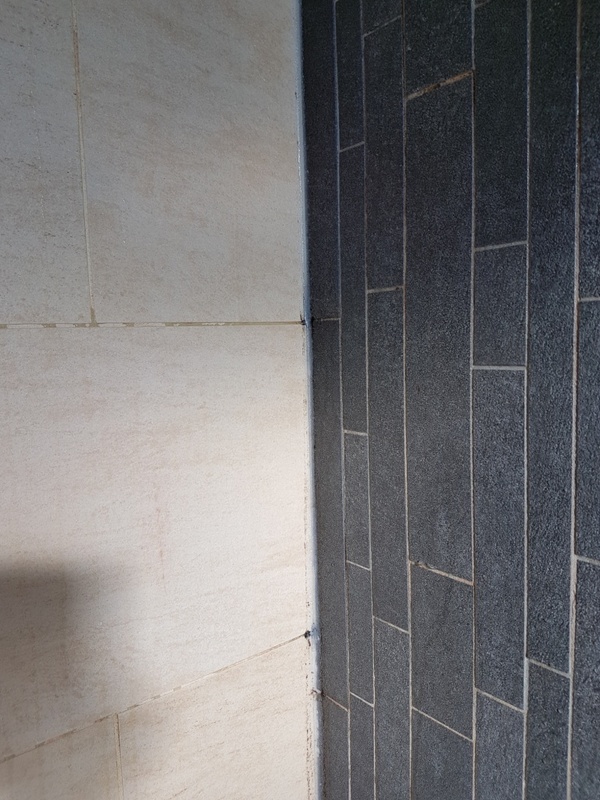 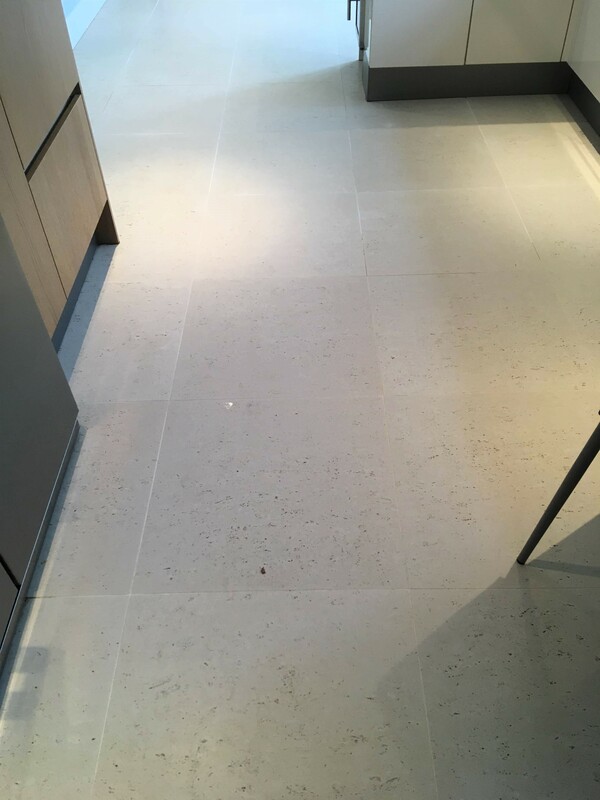 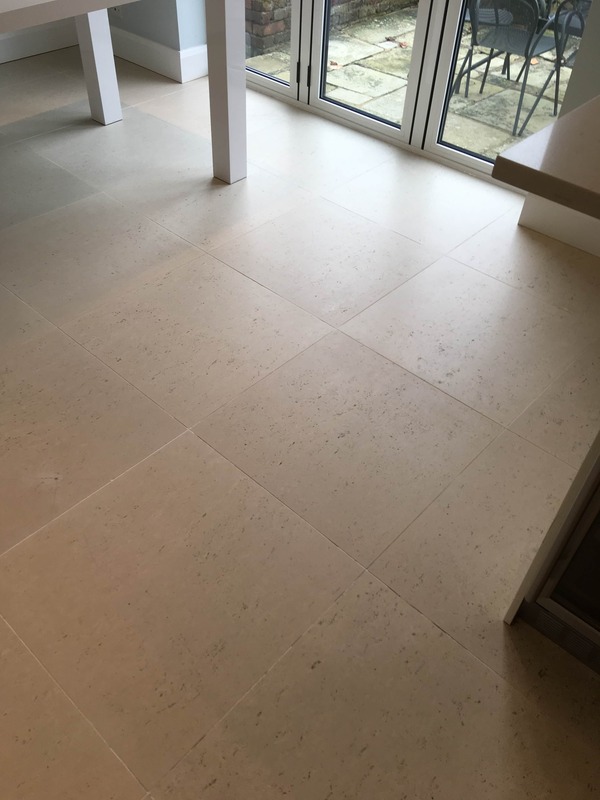 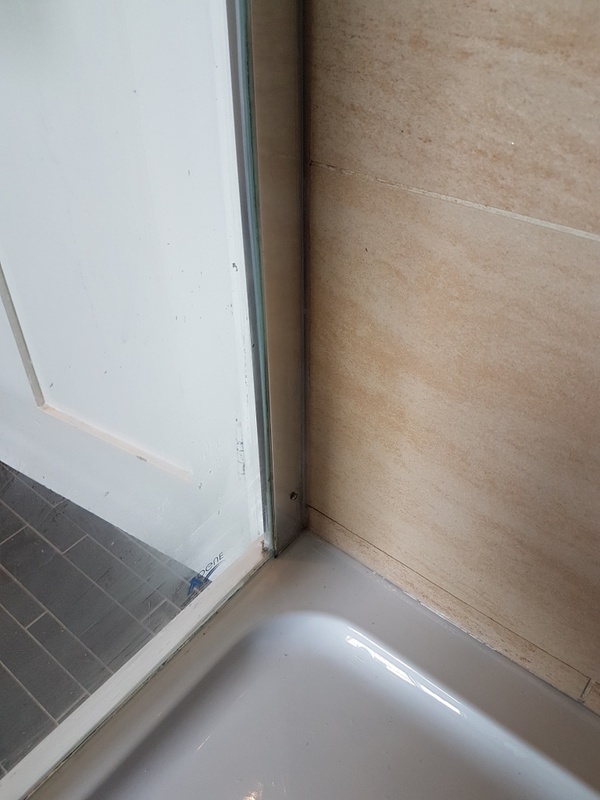 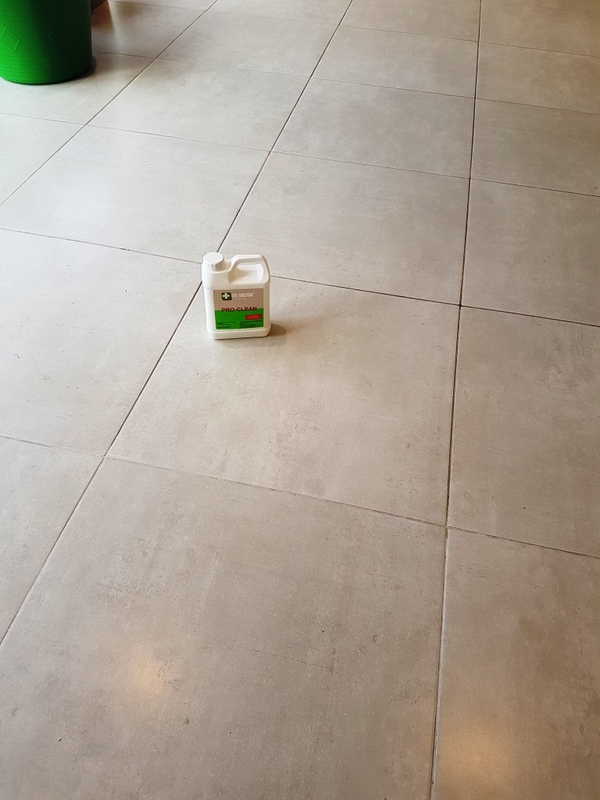 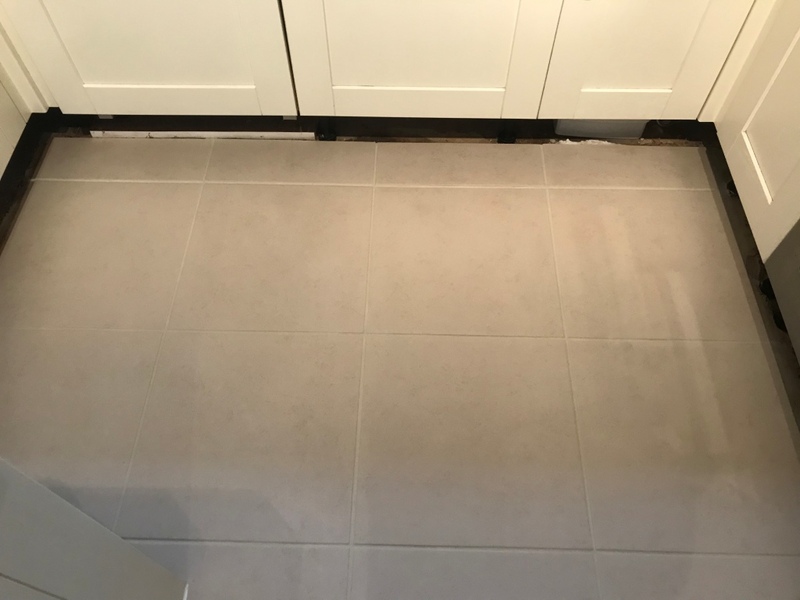 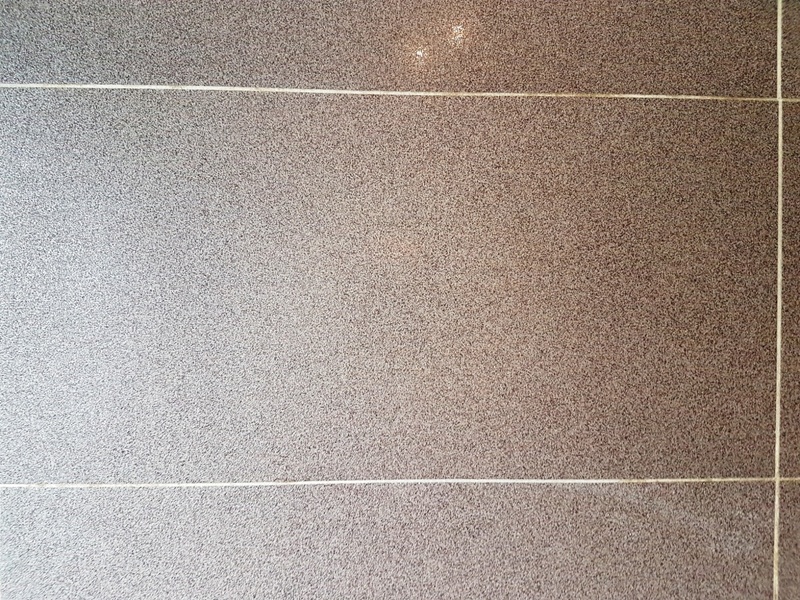 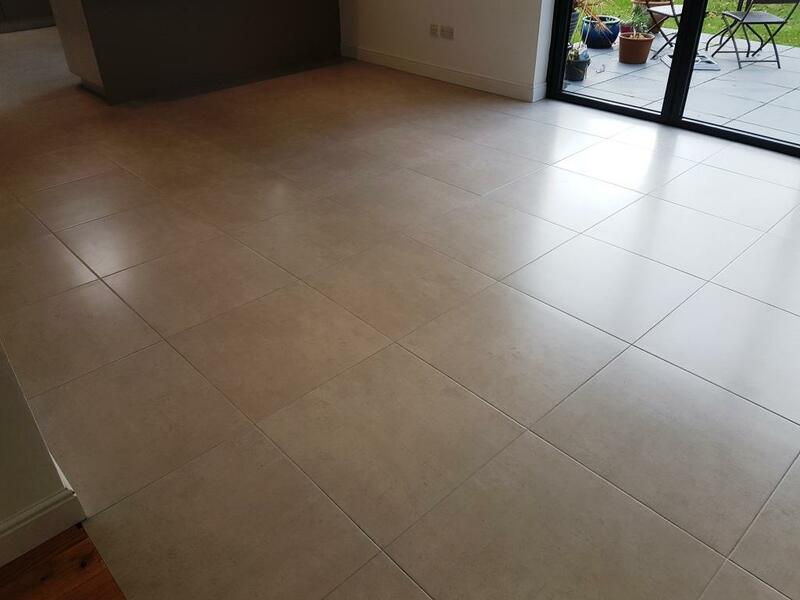 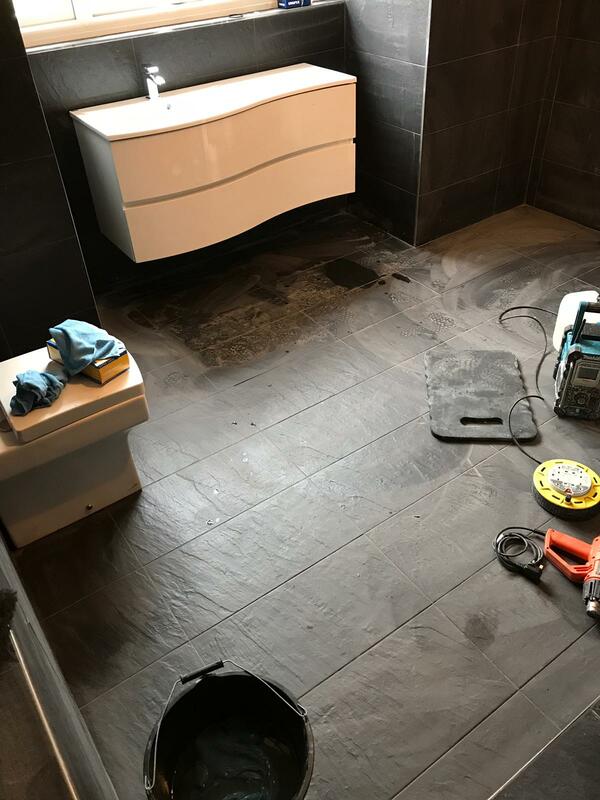 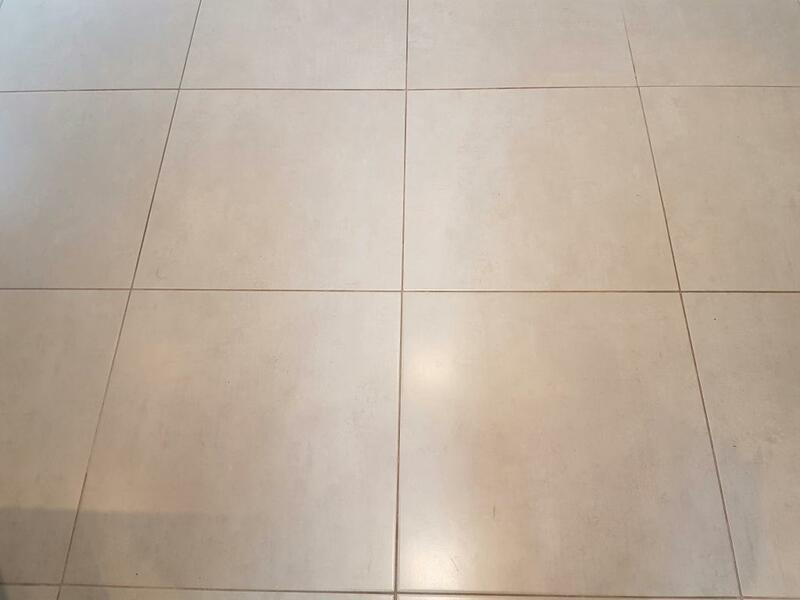 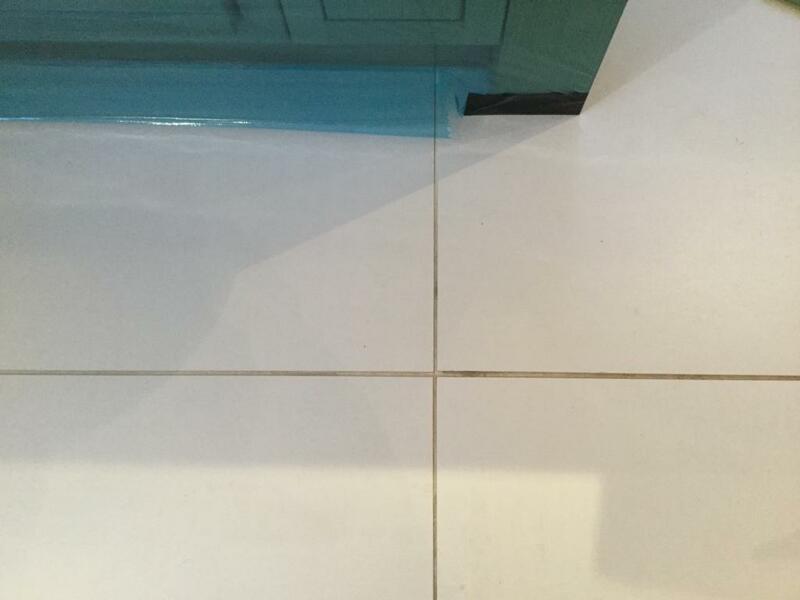 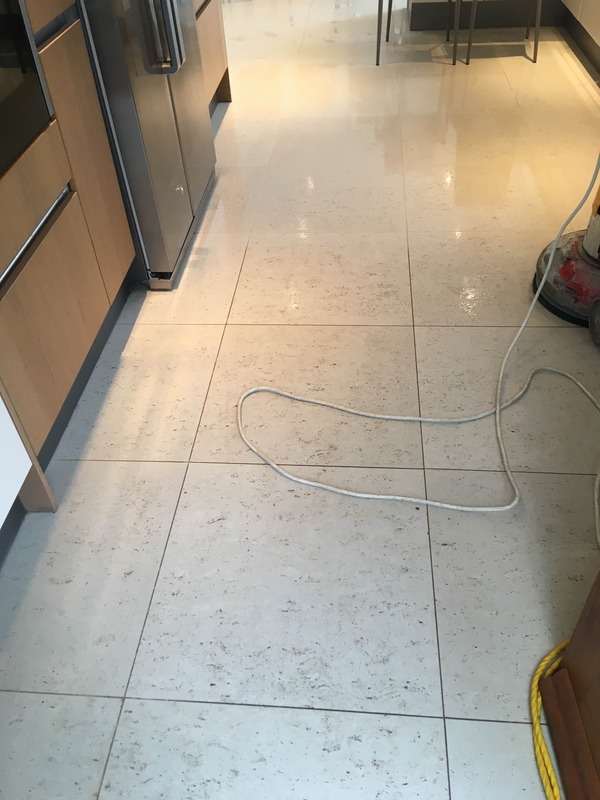 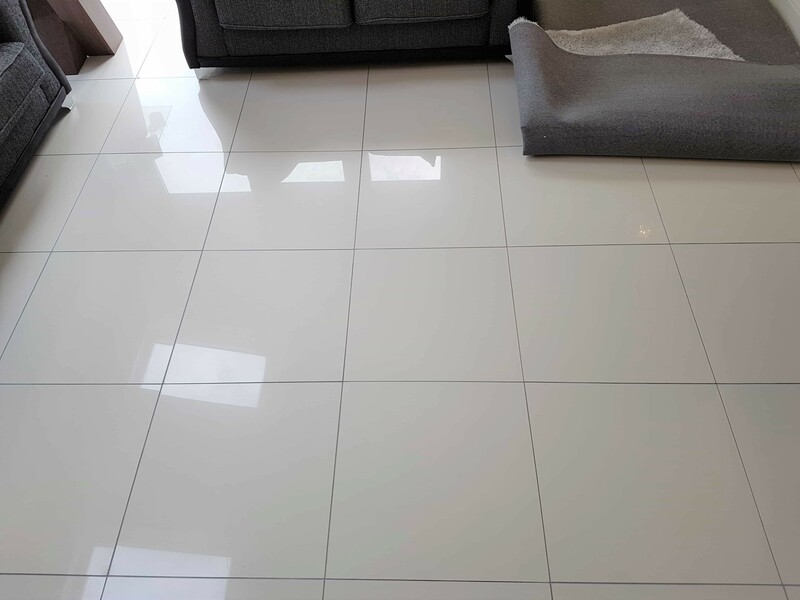 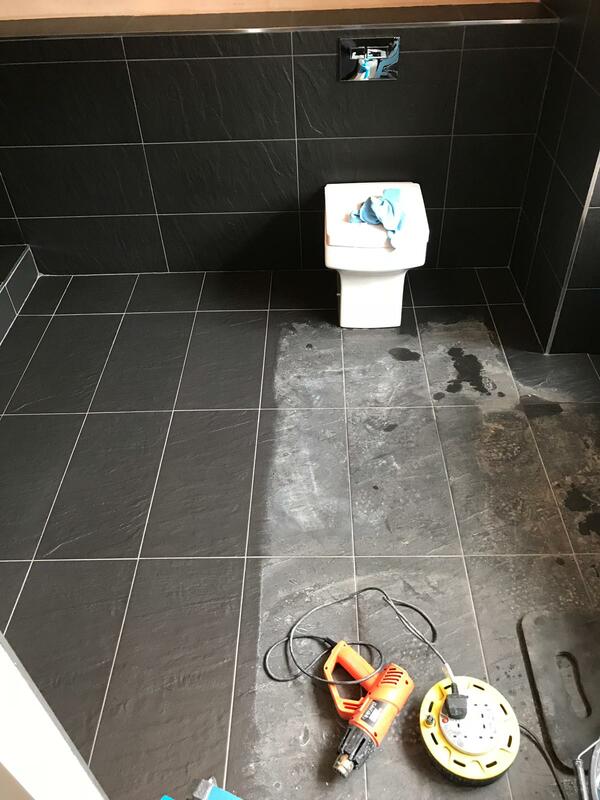 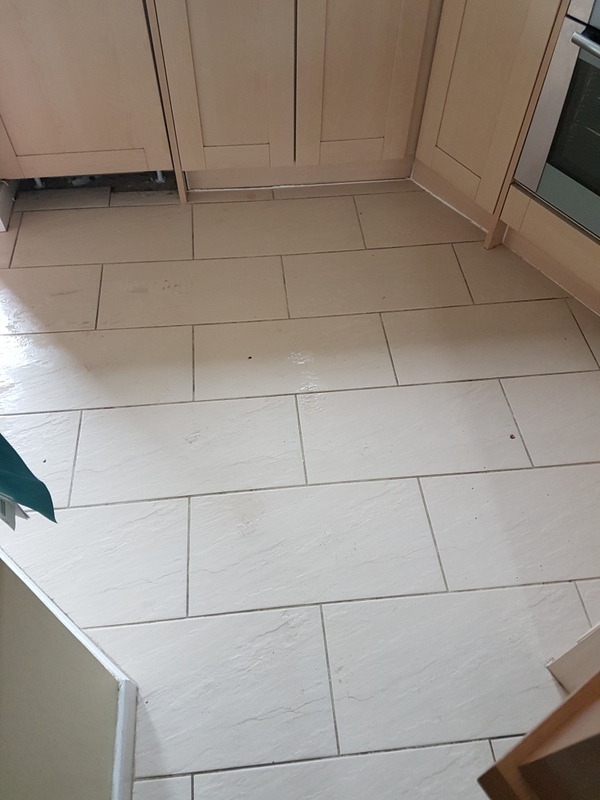 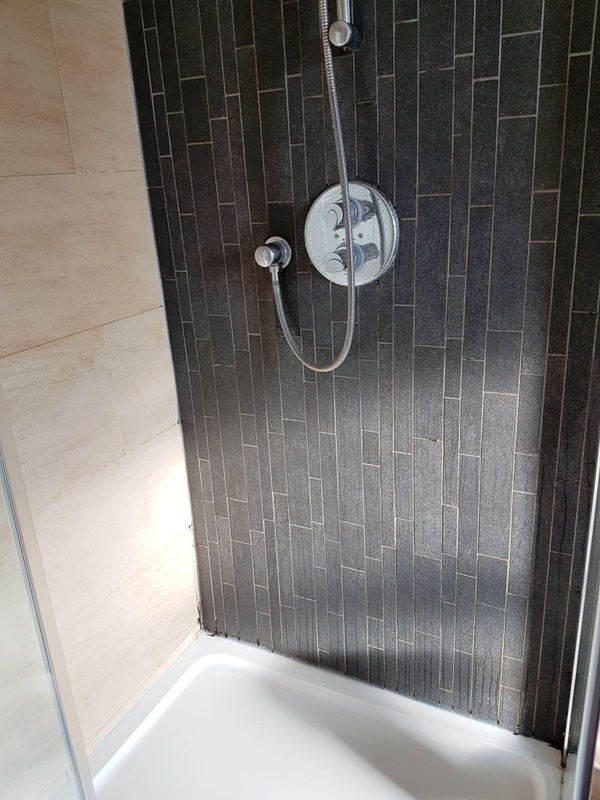 Porcelain tiles themselves won’t usually accept a sealer, however the grout will benefit hugely and hopefully they can now keep the floor looking much cleaner for longer. 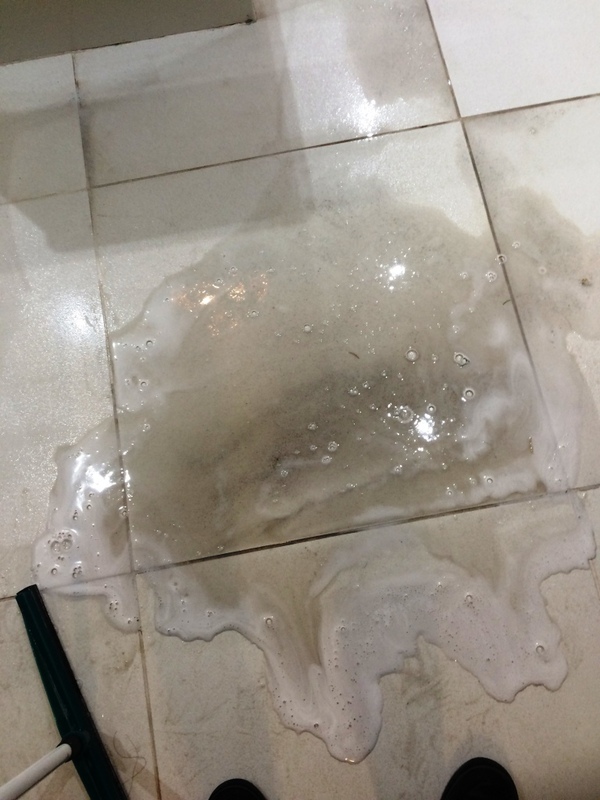 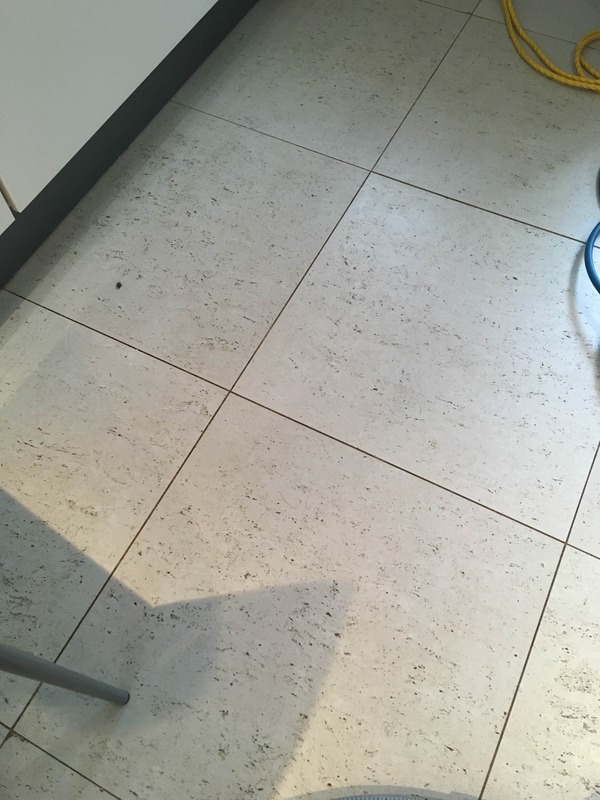 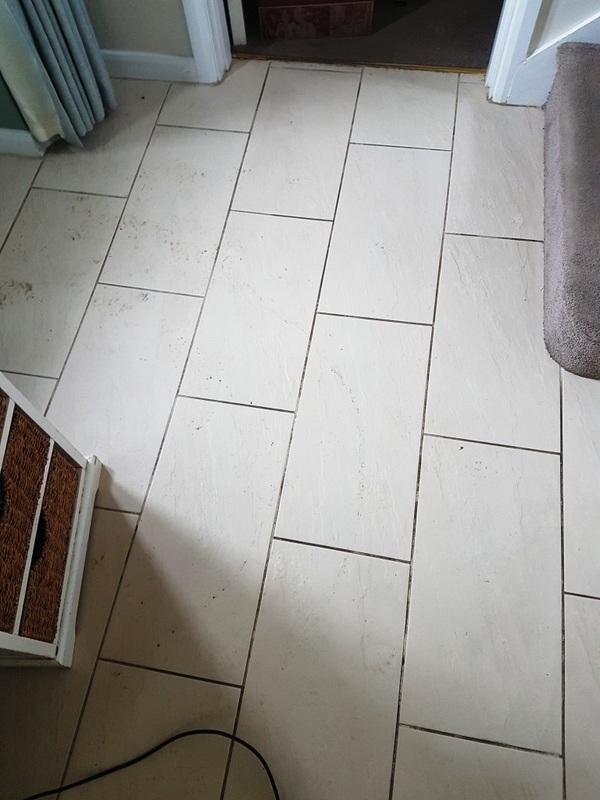 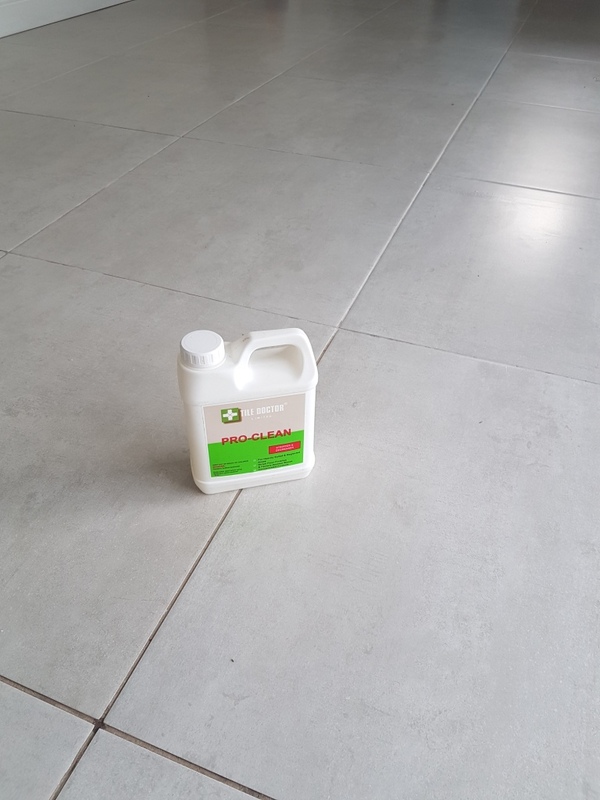 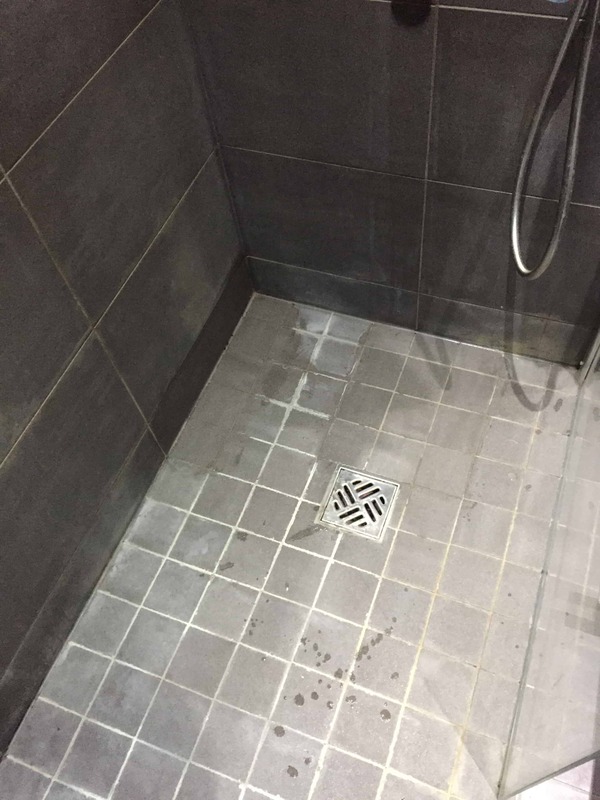 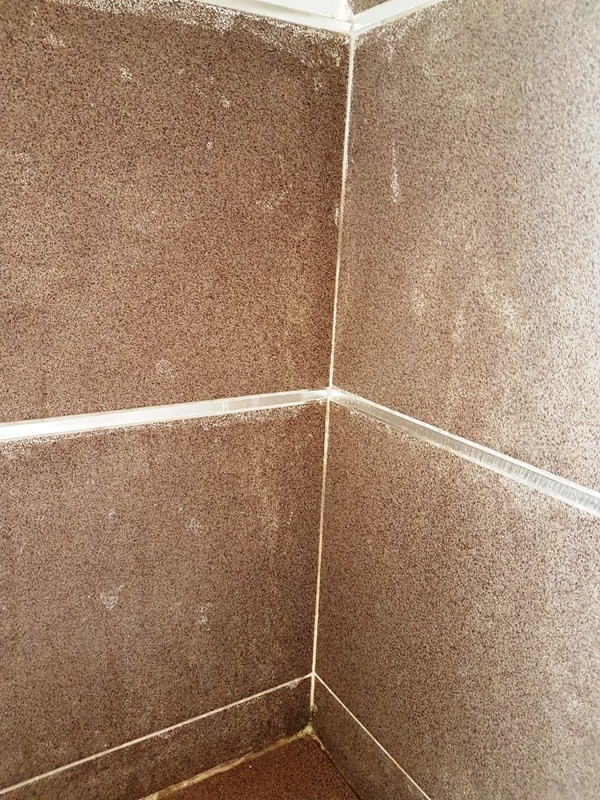 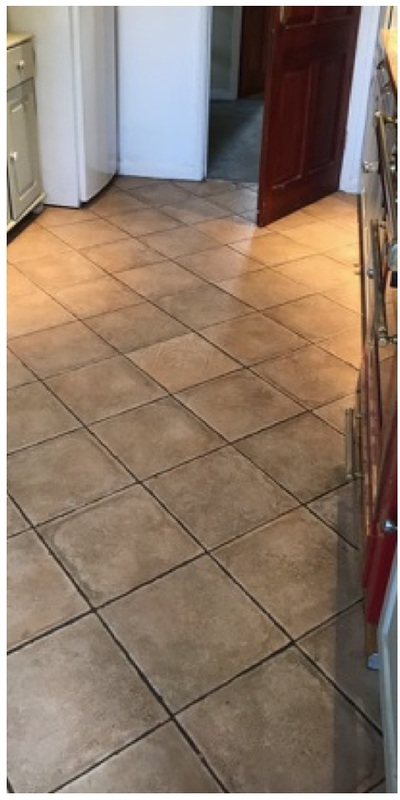 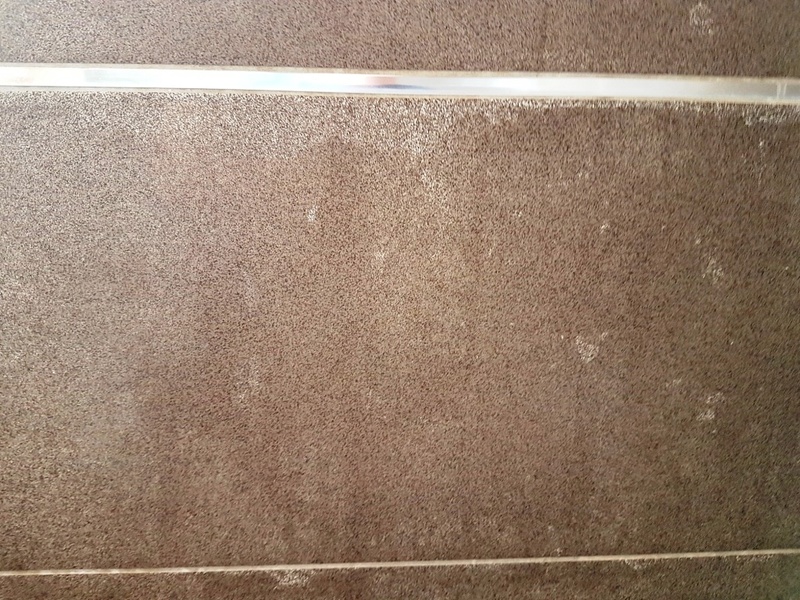 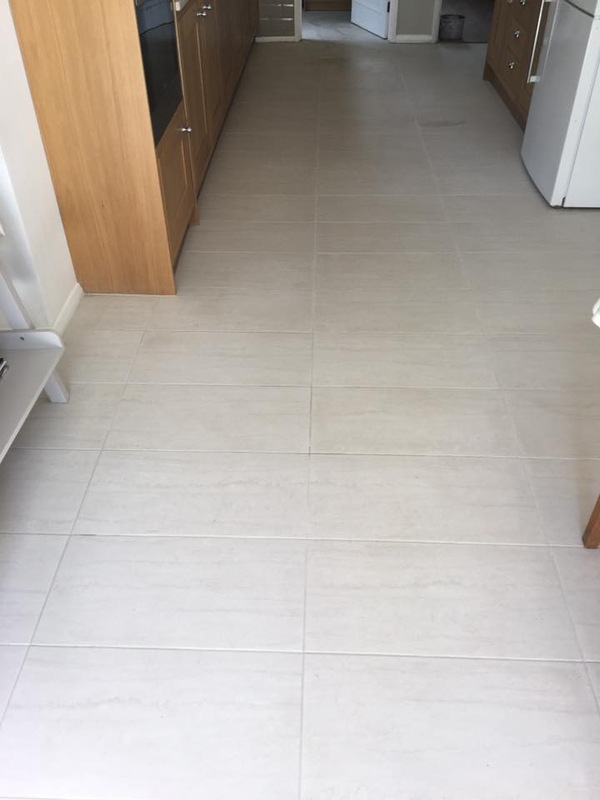 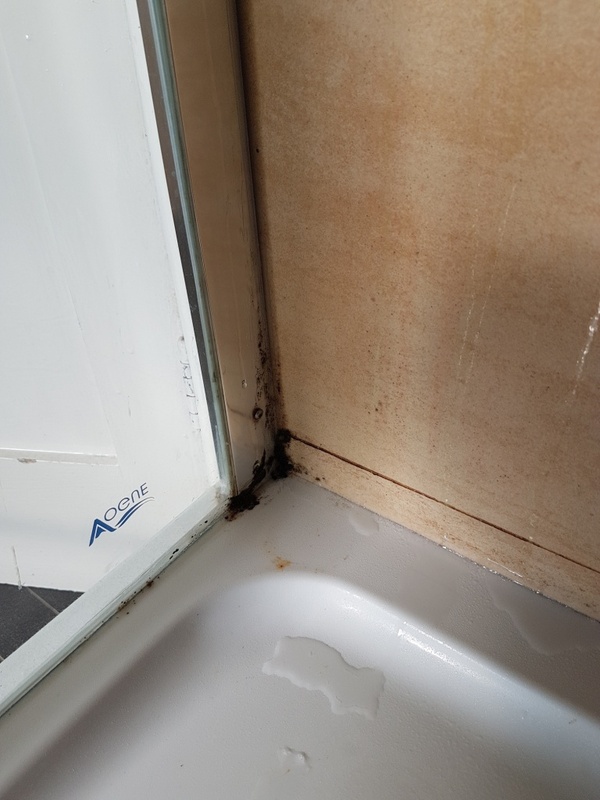 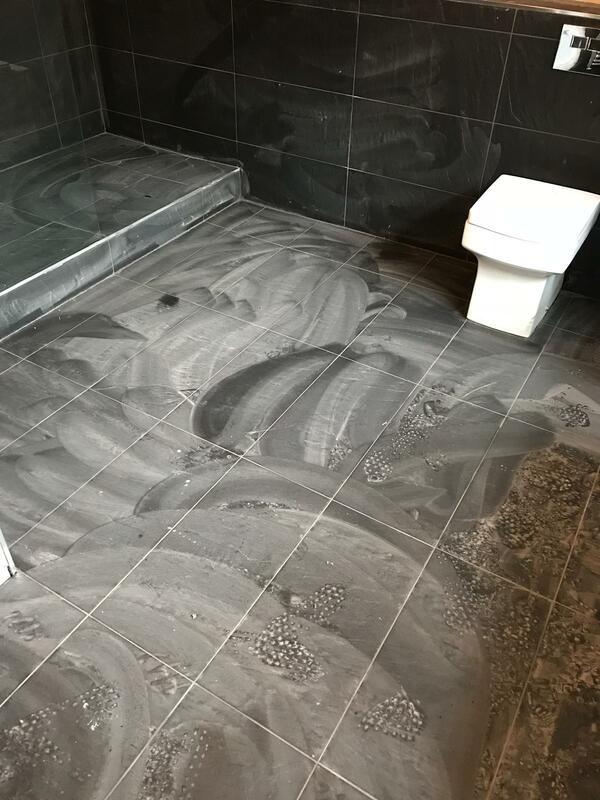 For aftercare I recommended that they use Tile Doctor Neutral Cleaner on a regular basis rather than the household cleaners which are available in supermarkets. 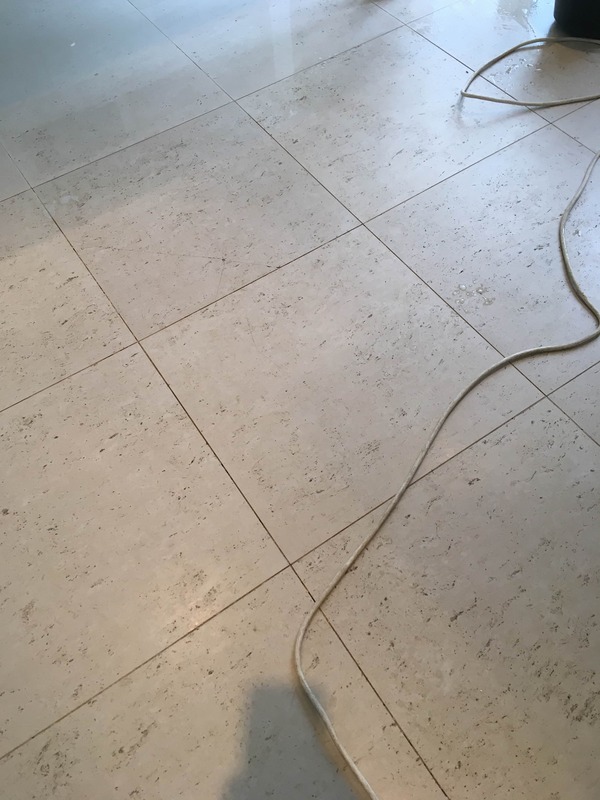 It is pH neutral, so it won’t prematurely degrade the sealant on the grout. 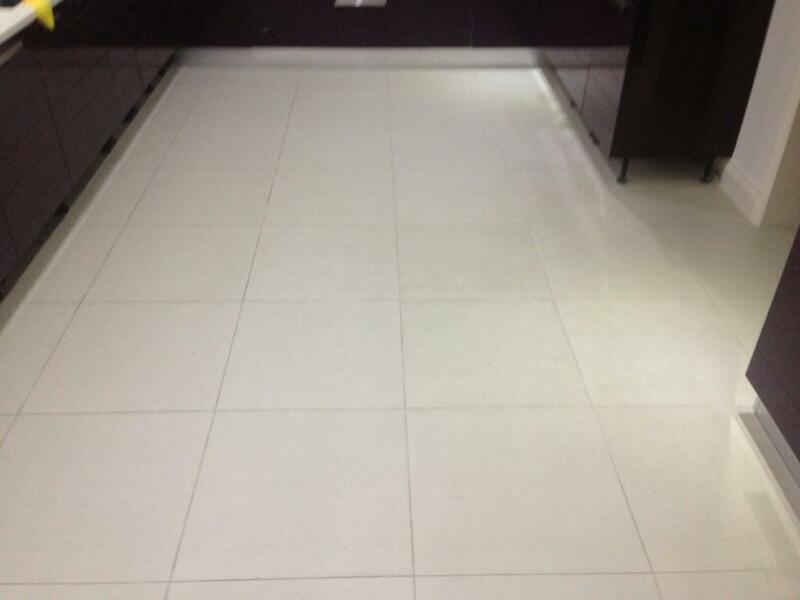 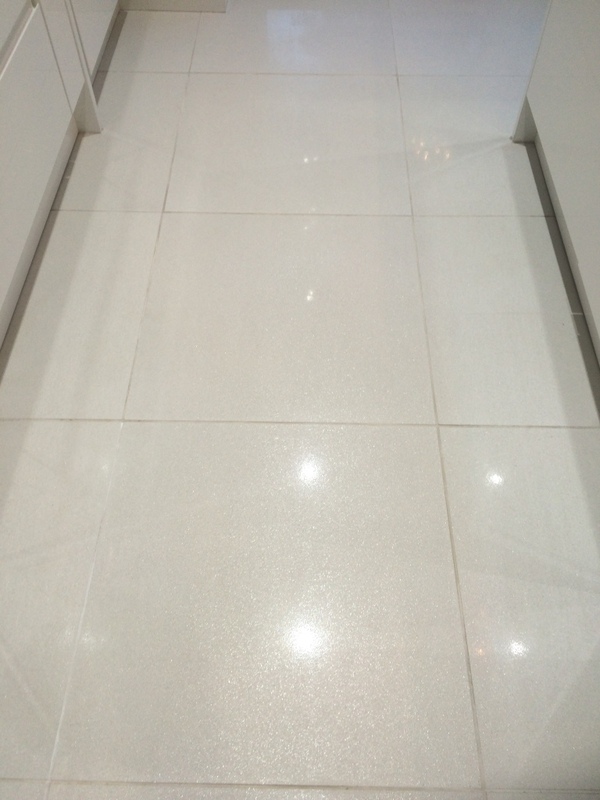 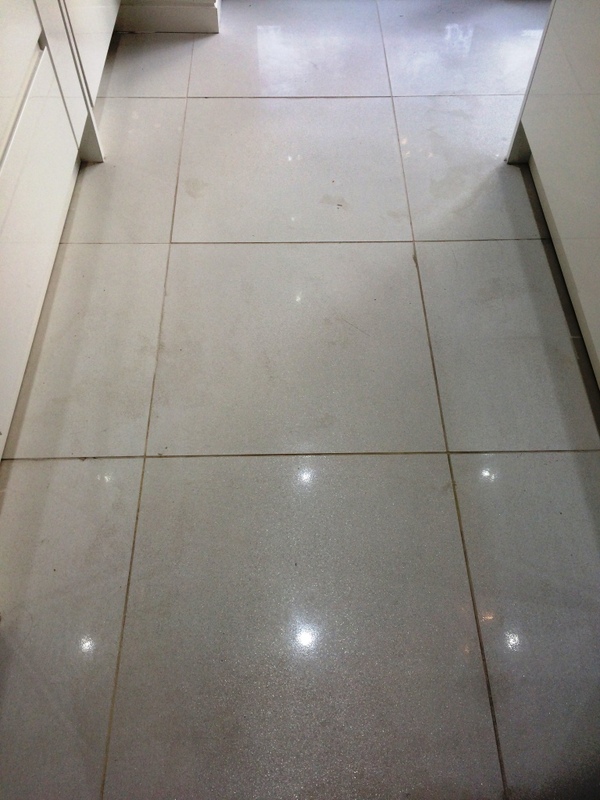 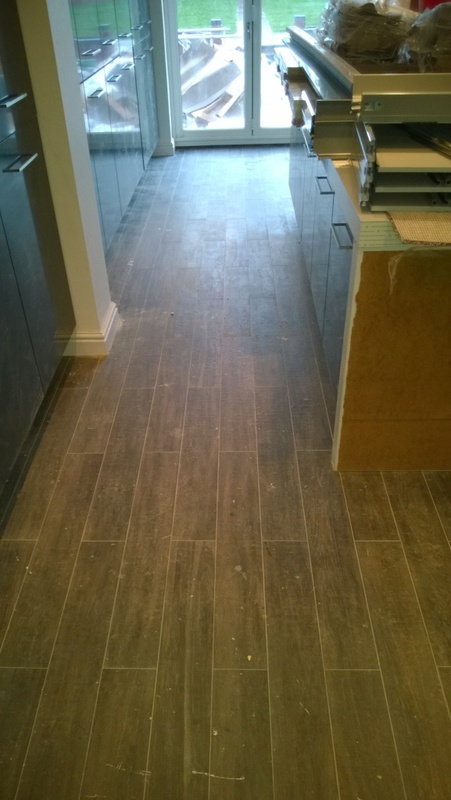 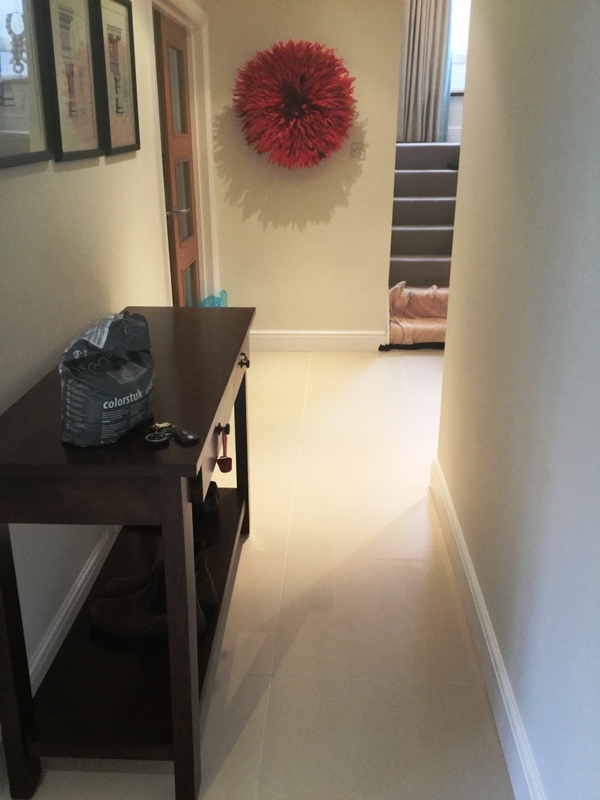 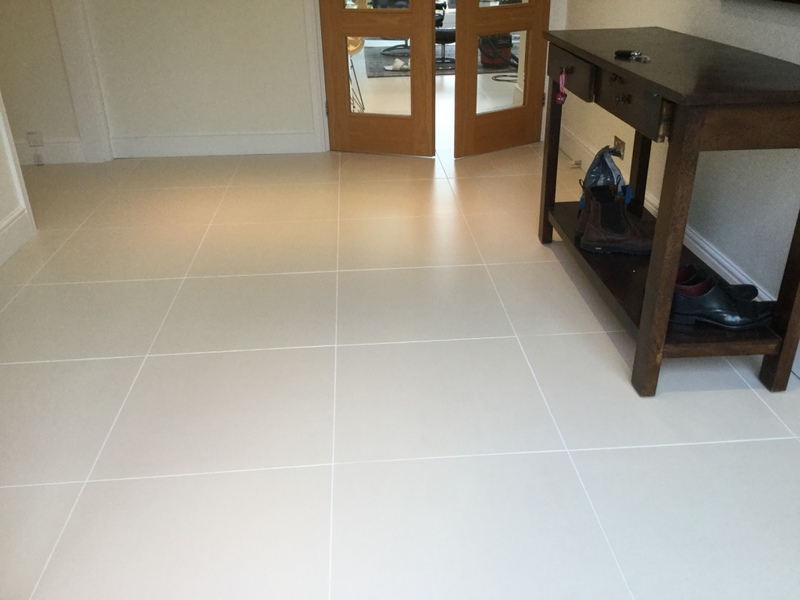 The client was very happy with the work we had completed, the floor looked pristine, and the hallway looked welcoming. 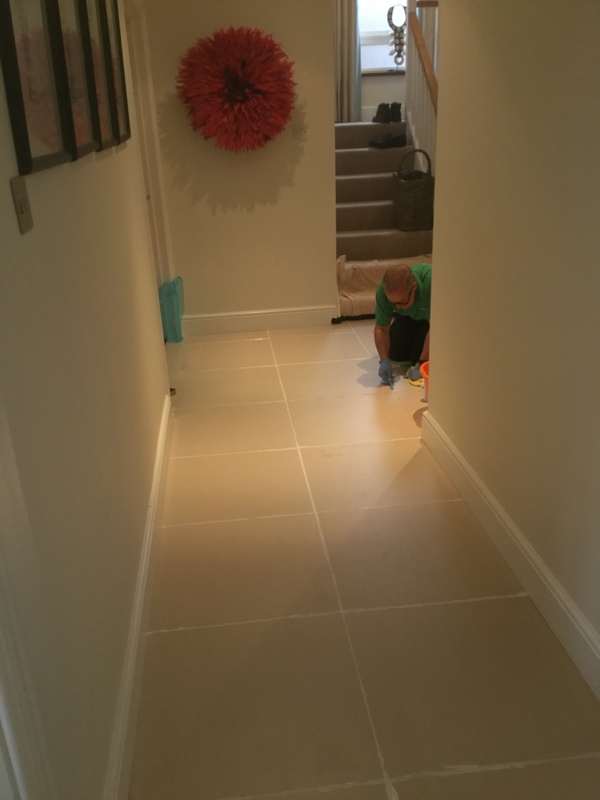 They now felt confident they would be able to keep on top of it going forward.